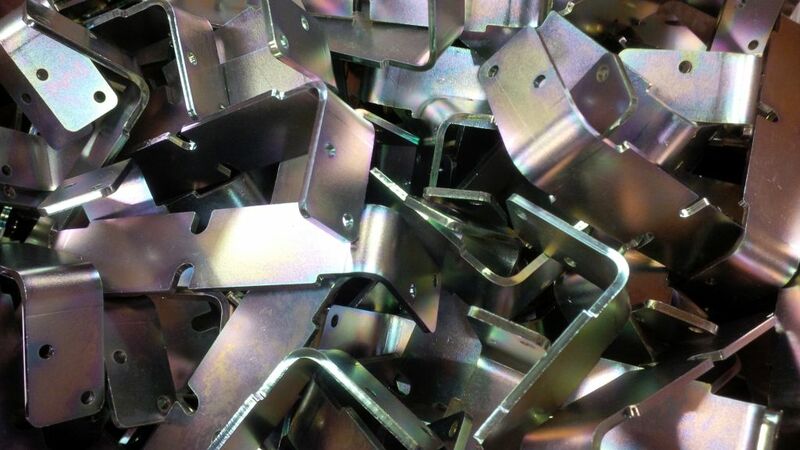 We love manufacturing sheet metal brackets here at V and F Sheet Metal. 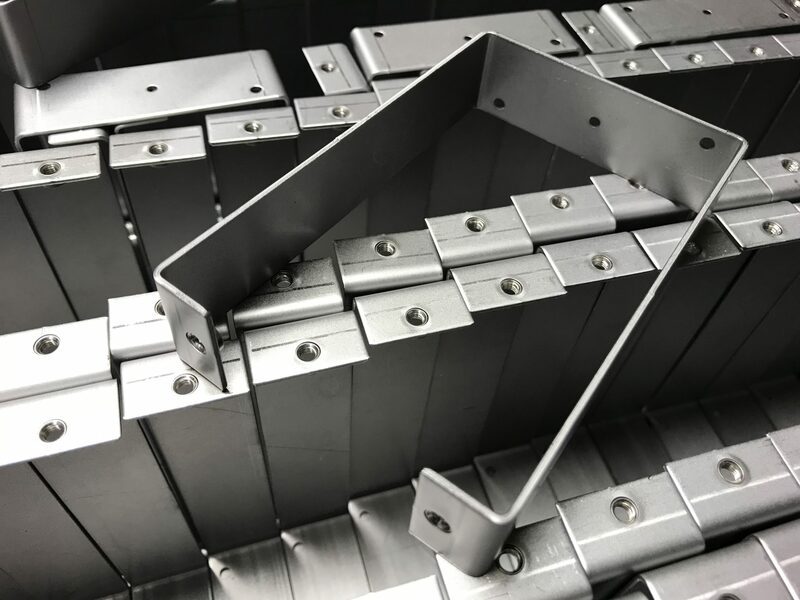 Our manufacturing machinery is perfectly designed to produce small components like brackets, you just have to take a look at our website to see that. 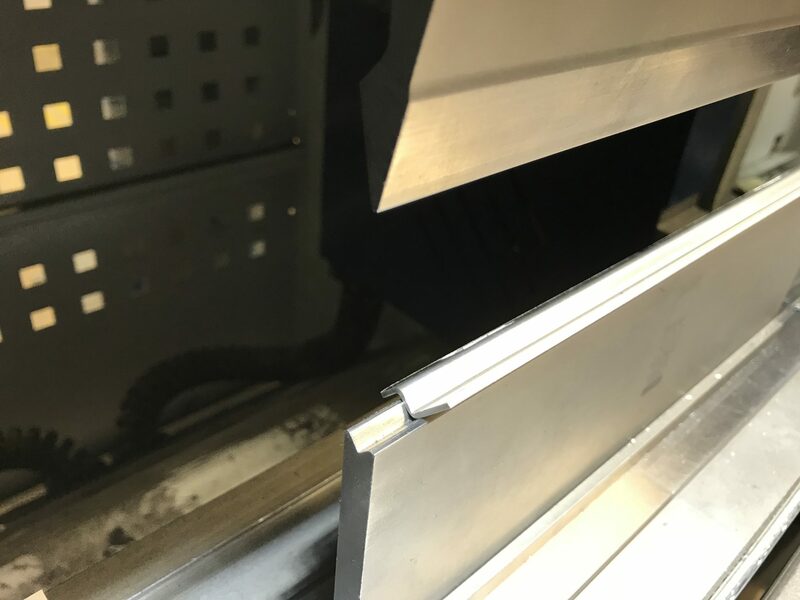 The image you can see here is through the safety glass looking onto our Trumpf 3030 3KW fibre laser cutting 3mm mild steel. The beauty of this machine is the ease with which we can go from job to job with virtually no set up time. 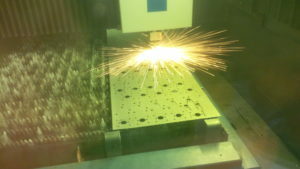 Here we are laser cutting some brackets from material off-cuts from a previous order. The ability to amend CNC programs from full production sheets to smaller off-cuts enables us to offer the best prices. Using up remnants especially of expensive or thick materials is an easy way to keep costs down when quoting for work. For more examples of past sheet metal bracket projects please take a look at our Bracket and Angle Gallery. Or if you want to watch the laser cutter in action follow the link. 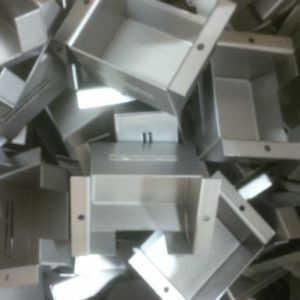 So, if you have a sheet metal bracket that needs manufacturing please give us a call. We are always happy to help you with ideas to speed up the manufacturing process to save you money. 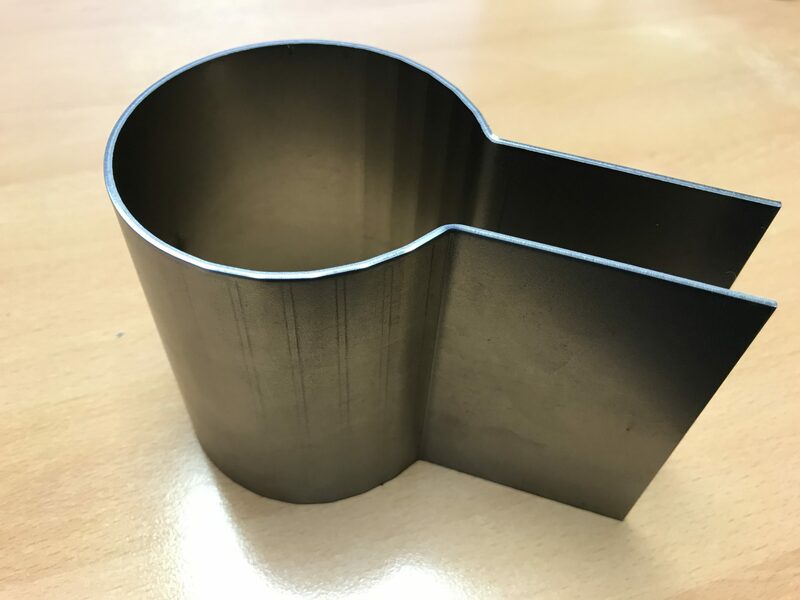 Perhaps you have designed a bracket and we can change some CNC punch tooling to suit standard tools and reduce punching time. We may have just the form tool needed to produce the curve you want. Our engineering are always willing to help. 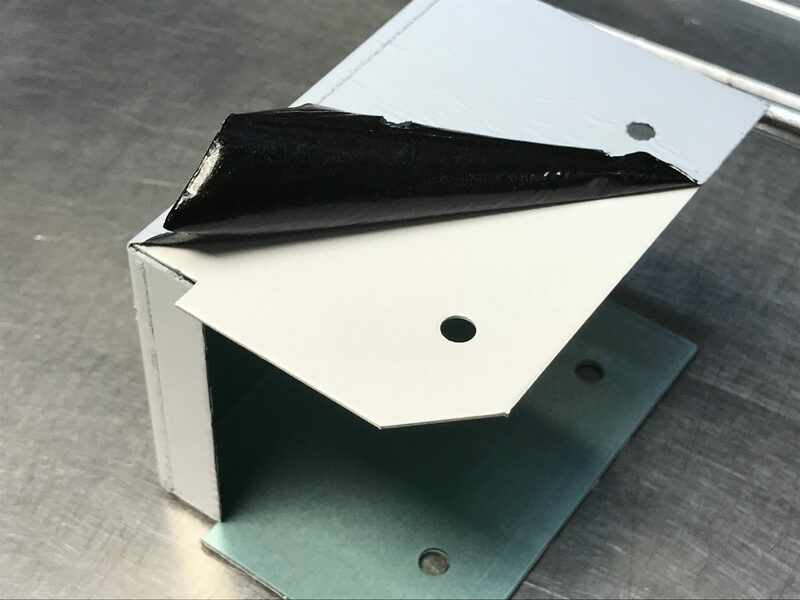 Looking for sheet metal housings for your next design project? Here at V and F Sheet Metal we manufacture sheet metal housings every day of the week. 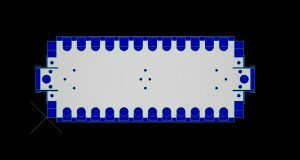 From small tin plates PCB screening housings right up to complete electrical enclosures. 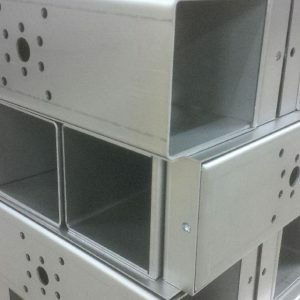 We manufacture sheet metal housings for a wide range of industries in Great Britain. These can include light fitting housings, industrial heating housings, professional audio housings and pump housings to name but a few. 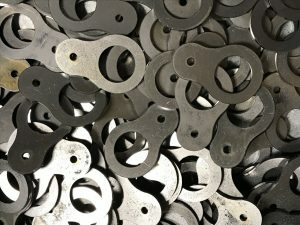 The housings shown here have been manufactured in our factory in Fareham, Hampshire. Using CNC punching, laser cutting and CNC bending technology to efficiently produce these products. 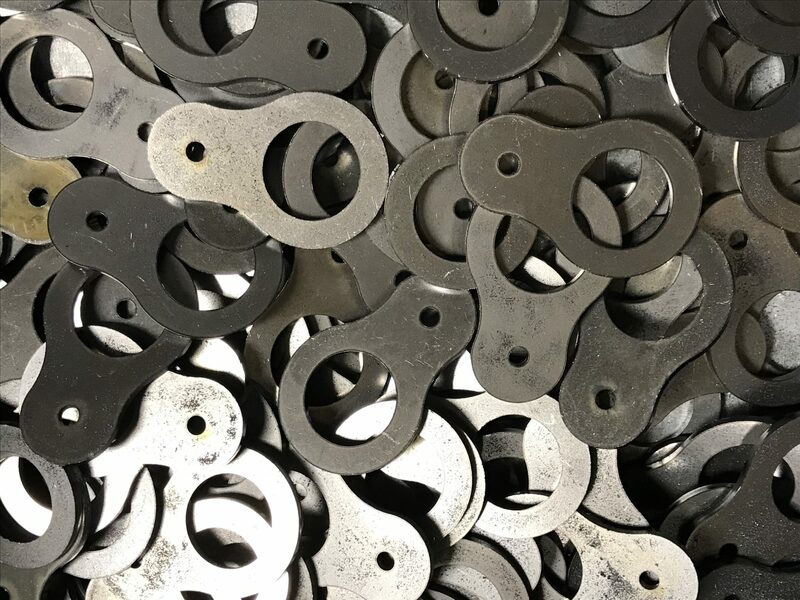 With batch sizes ranging from 1 off prototypes, repeating batches of many hundreds right up to thousands, we have the processes to match your needs. The material we work with is vast including all the standard mild steel, stainless steel and aluminium alloys as well as specialist lighting reflector materials, pre-painted materials and spring stainless steels. As far as finishes go, what do you want? Zinc plating and passivating, anodising, Surtec 650, Iridite NCP, powder coating, screening, hot-dip galvansing you name it we can supply it. 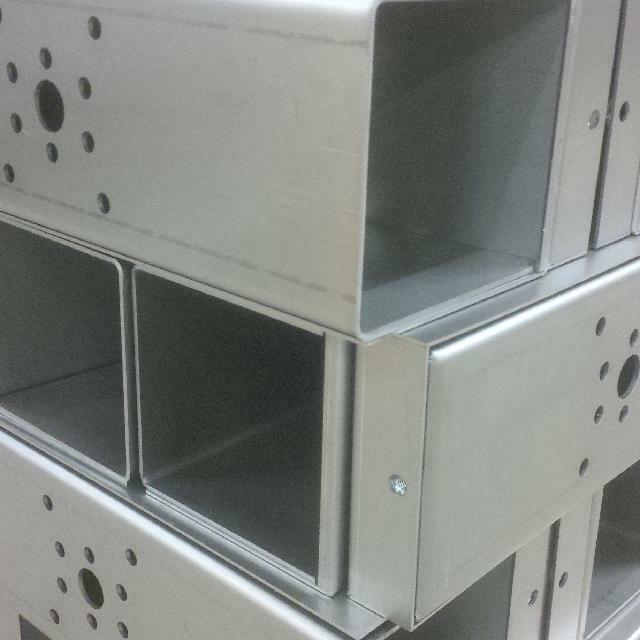 For an impartial view on designing for the manufacture of sheet metal housings contact us on 01489 577786. If you already have some drawings, that’s great, please send them to sales@vandf.co.uk and our engineering team will take a look for you. 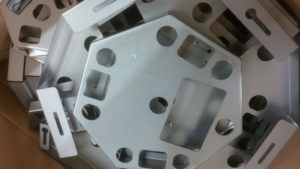 Would you like to see more images of sheet metal components to give you some ideas for your own designs? Take a look at our gallery pages within our website or on our: Pinterest Board. Whether you just want a few sheet metal prototypes for your new design or full production we are here to help you! 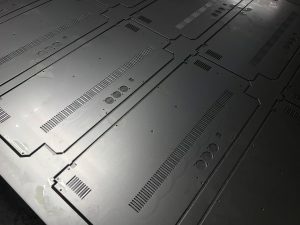 We use CNC punching and laser cutting to produce accurate sheet metal blanks. Working with a range of CNC bending machines to produce work from the simplest single angle to complex electronics chassis components. Complimented by the latest in house welding equipment we can offer you a comprehensive manufacturing service. We have an experienced team of skilled sheet metal workers able to turn their hand to all sorts of projects. From welding aluminium housings, folding stainless steel enclosures, laser cutting brass and copper electrical components. You name it and we have made it. The image shown here is a CNC punched zintec treated mild steel bracket. Using a particularly clever piece of tooling on our Trumpf 3000R we were able to produce the folded flaps at the same time as punching. The Trumpf multi-bend tooling works with a range of materials and thicknesses. It saves a lot of time and produces a very consistent bend. 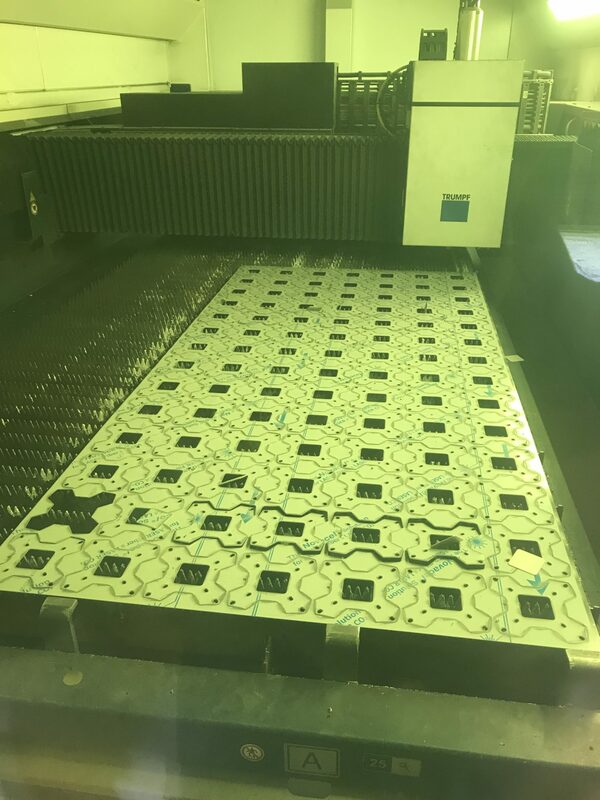 Today’s activity in the factory has given me the opportunity to talk about laser cut components using our Trumpf 3030 3KW fiber laser. This was an interesting job using stainless steel of 2mm gauge with a 4 thou plastic fiber laser coating to produce a batch of 300 laser cut brackets. Initially we start by laying out the components on the sheet for maximum utilization of the material. There’s not much wastage here! The individual components are cut out using the laser in a particular way which is not always obvious. If you look carefully at the drawing of the “red” component, you’ll see at certain points there are small yellow lines. These are called “lead ins” and correspond to the start of the laser cutting point. 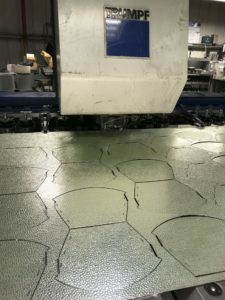 This allows for a nice clean edge and in the end the initial area where cutting starts from will be on the piece of material that’s thrown away. The advantage of this is that no burn marks are seen on the piece of material you want to keep, only on the scrap. These yellow lead in lines are seen on all areas where cutting occurs. When cutting metal with a plastic coating using a laser there are two processes which occur. In the first instance the laser beam passes through the plastic and metal and a “vapour” cut sticks the plastic to the metal sheet. Finally a cut is made using nitrogen to cut the part out. Are you looking for someone to laser cut components for you? If you have a project that needs some input from a friendly sheet metal company then we are here to help. We can look at your designs and suggest areas that can be improved with a view to saving you money. Always good news! Simply send us your drawings to sales@vandf.co.uk and we will take a look for you. Would you like to see more images of laser cut components to give you some ideas for your design? Take a look here: Pinterest Board We have many examples of our work on our Pinterest Boards and gallery pages within our website. 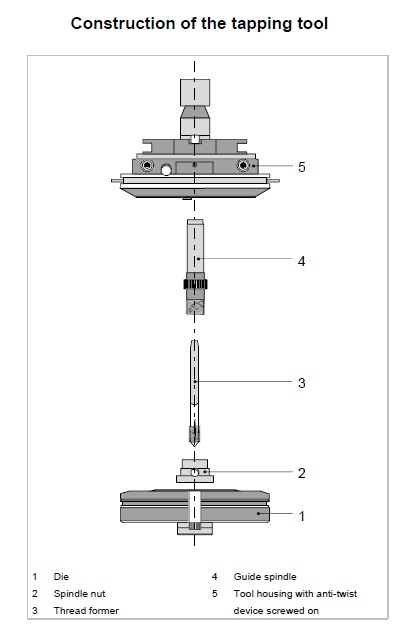 Here’s a great example of a component with a really complex inner and outer profile. With so many curves blending into each other there’s only one way to produce this part and that’s laser cutting. We were really lucky with this project as our customer had already produced STEP files. We simply read them into our Radan software and then output 2D files for tooling ready to laser cut. Once the components had been laser cut they needed no further cleaning up around the laser cut edges as we have used pure nitrogen gas. 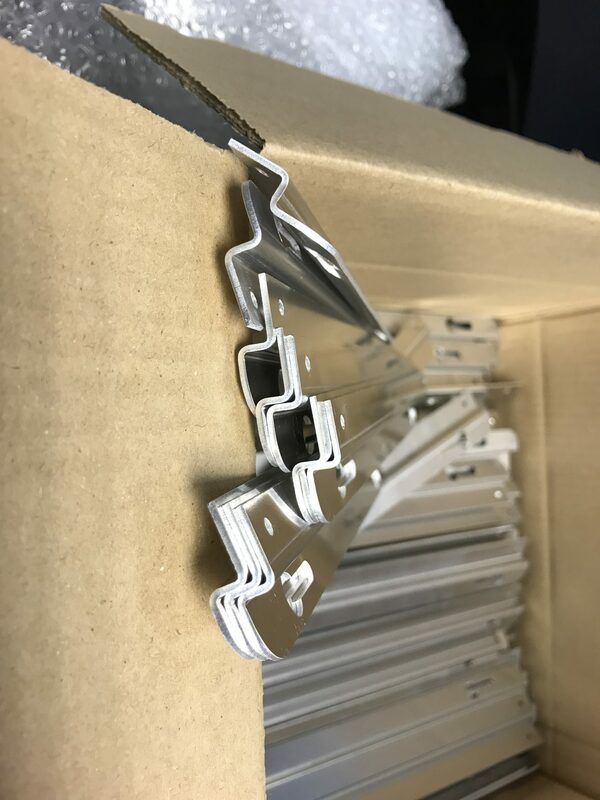 These stainless steel components were simply CNC folded and were then ready to be shipped to our customer. Laser cutting has become second nature for us whenever there is any profile complexity. The ease of CNC programming and reduced amounts of edge cleaning make it a perfect sub-contract manufacturing process. 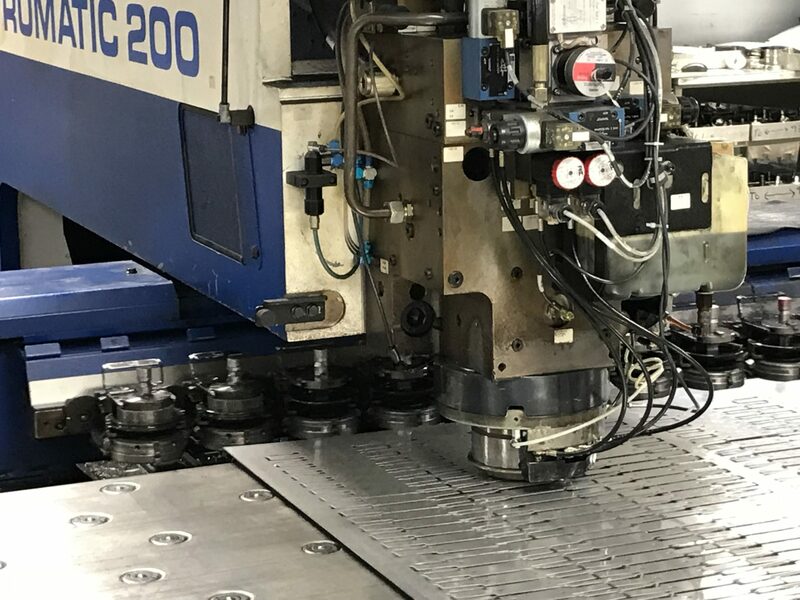 Working alongside our CNC punch presses we have the perfect combination of cutting machines to wok on your sheet metal projects. 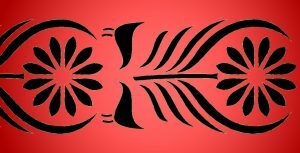 Interested in seeing more examples of laser cutting please take a look at our Laser Cutting Pinterest Board. Have a drawing you would like us to look at? 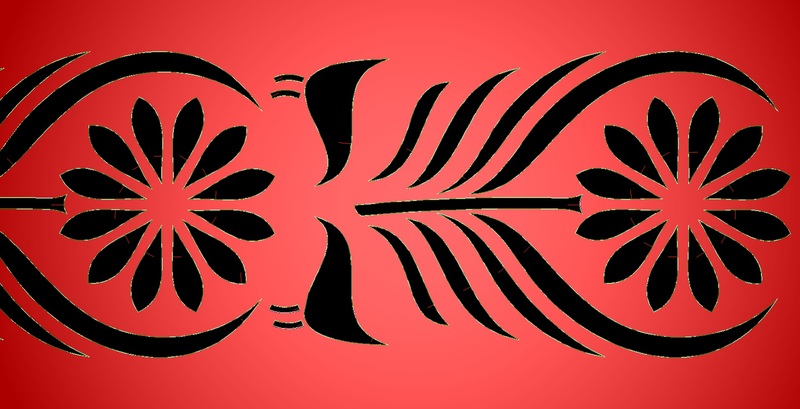 Send it over to us and we will be happy to produce you price options for laser cutting. Not quite sure what you want? No problem, give us a call and we will be happy to chat through your ideas. We are inserting sheet metal fixings everyday of the week. 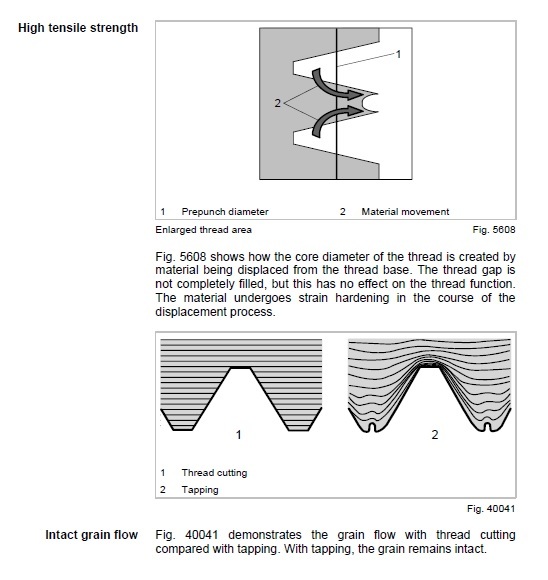 They may be female threads such as the parts shown here or male threaded studs. Simple brackets like these can also have bushes inserted using one of our fly-presses when needed. If you follow the links you will see plenty of examples of sheet metal work projects with inserts. 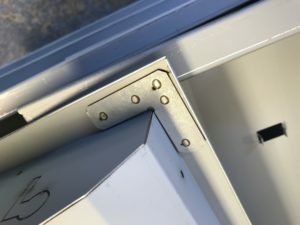 Thin gauge aluminium brackets are perfect for receiving sheet metal fastenings. Aluminium is generally too soft to receive a self-tapping screw. Unless the gauge is considerably thicker we would not recommend tapping a thread. Pressed inserts however are perfect for the job. If you have a new design for a product in sheet metal and it needs inserts please give us a call. 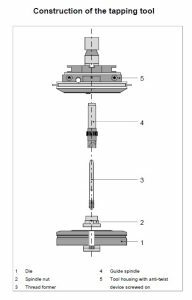 We have lots of standard inserts on the shelf and we can buy in most within a day or two. As a result we can be manufacturing your parts and have the inserts in ready to go when needed. Just give us a call and let’s see what we can do for you. 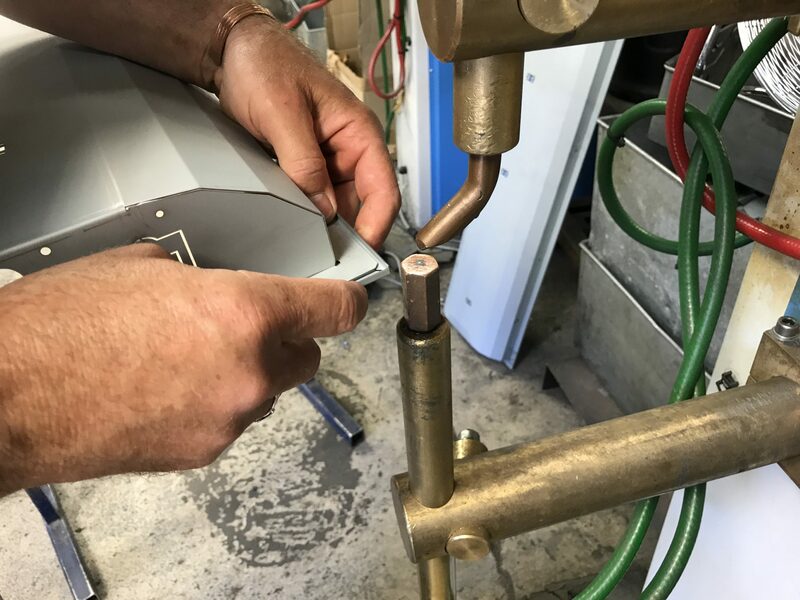 At V and F Sheet Metal we are often asked to produce components or fittings that will require some degree of spot welding in the process. Obviously in the first instance if a component can be made out of one piece of metal then this is advantageous, efficient and low on cost. 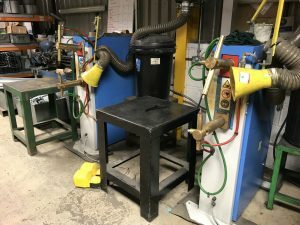 However, although this would always be the easiest and most straight forward route for us, it is often the case that components need to be made from two or more parts and this is where the technique of spot welding Zintec comes in to play. Fortunately here at At V and F Sheet Metal we have 4 spot welding machines so you have come to the right place! Using these we are able to spot weld mild steel, Zintec, galvanised steel and stainless steel in gauges from 0.7mm to 3mm thick. The job mentioned here is a perfect example of the use of spot welding to produce a light fitting for the ceiling. 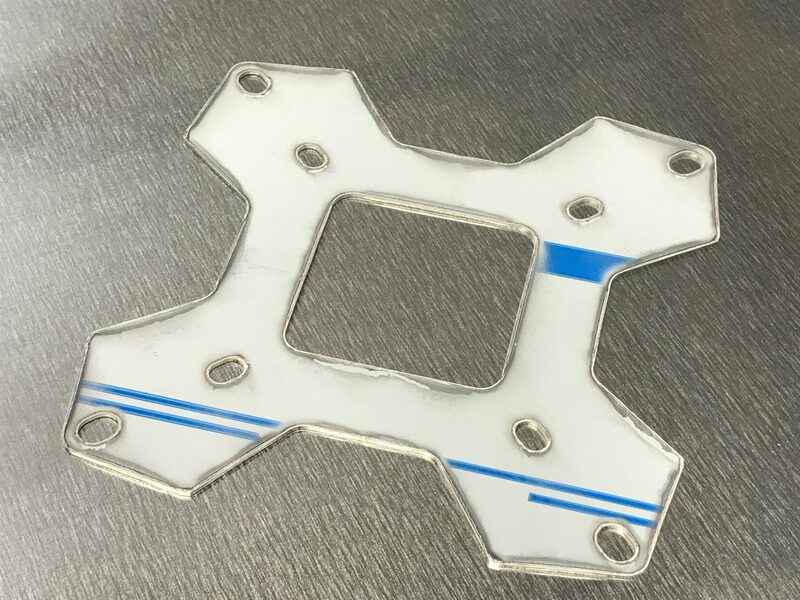 In the first instance the main body of the fitting was laser cut from 0.7 mm Zintec on our Trumpf 3030 fiber laser cutting machine. The body was folded up on our safan e-brake CNC bending machine. Finally stiffening L shaped pieces made from 1.5mm Zintec were spot welded on to each of the corners to hold everything together. Spot welding is only one of the many services we can offer our customers. 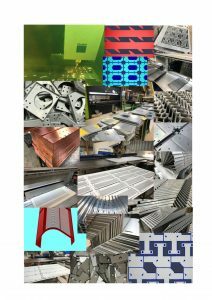 For a wider ranging picture of all the processes we can carry out at V and F Sheet Metal please take a look at our tooling and plant list. If you have a design that needs sheet metal work please give us a call. Our experienced team will be happy to help you and discuss your ideas. Don’t delay, pick up the phone today as we can help! If you are looking for aluminium or mild sheet metal steel brackets you have come to the right place. 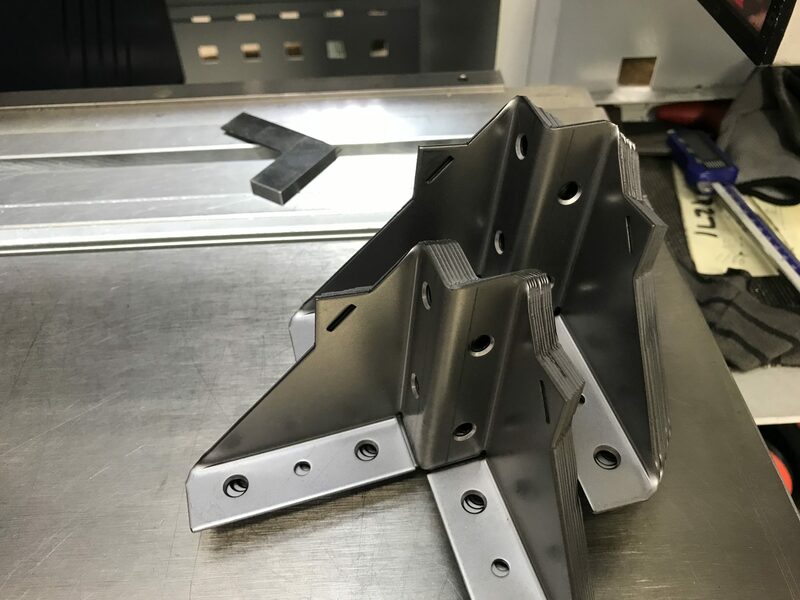 With over 30 years experience in sheet metal work we will produce brackets to your own designs. 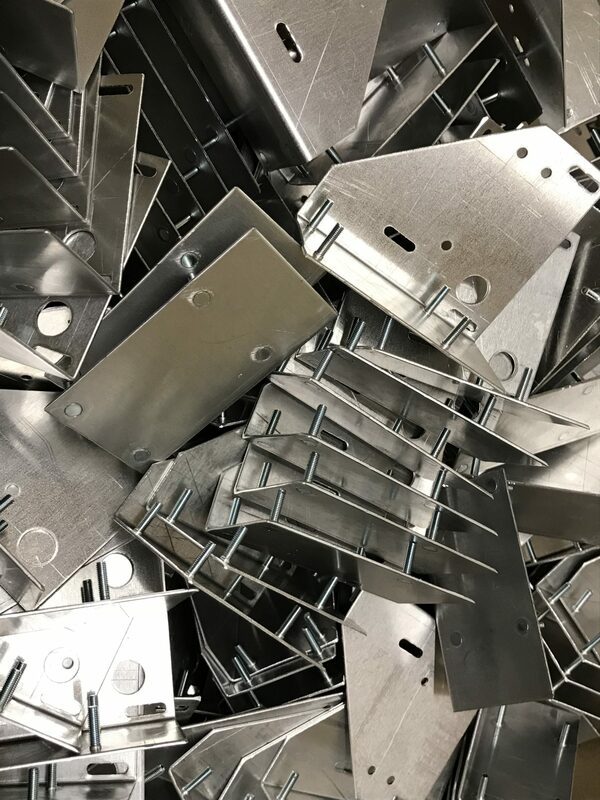 Our website has a vast array of past examples of sheet metal brackets made for our UK customers. Here at V and F Sheet Metal we will CNC punch and laser cut the blanks for any aluminium or mild steel brackets. We will produce them to your design using the very latest CAD/CAM software ensuring accuracy to your initial ideas. For that reason we always use Radan sheet metal software to enable us to communicate with our customers. Whether it might be 3D design files or detailed drawings we will be able to support you with your manufacturing project. Take a look at our past CAD/CAM examples to see what we get up to. Once we have accurate blanks we have a range of CNC press brakes to fold the brackets. 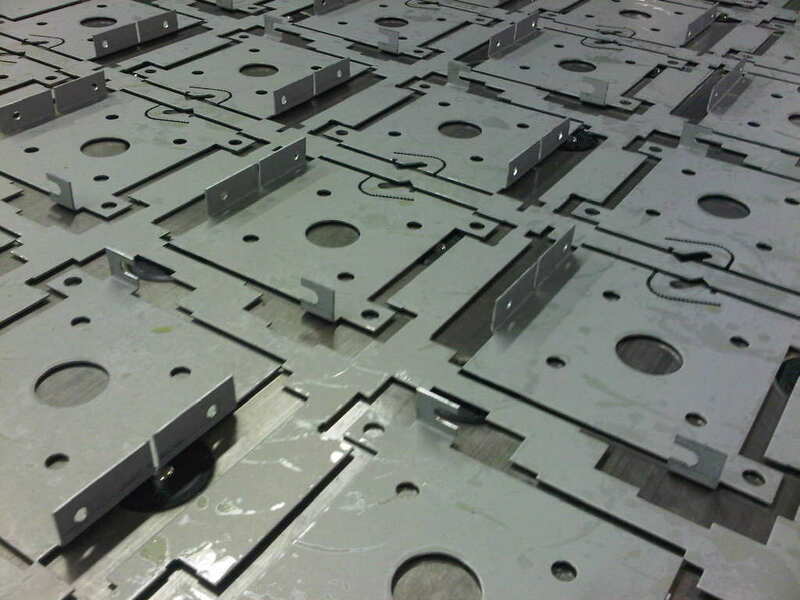 Using accurate tooling we will produce a wide range of shapes and sizes of bracket. Please take a look at our bracket gallery for more examples. Another good source for sheet metal bracket examples is our Sheet Metal Bracket Pinterest Board. We can also work with other grades of material including stainless steel, copper and brass. More specialised materials such as zintec, bondcote and pre-painted steel are no problem to us. 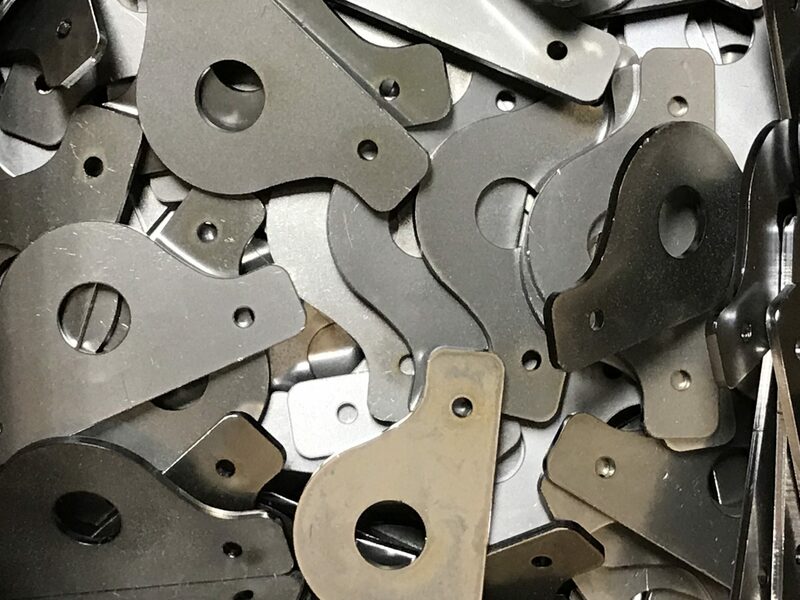 In conclusion you can see that we are definitely the people to contact when you need sheet metal brackets. You can send us your drawings right now and we will be happy to take a look. Producing price alternatives for material type and volumes options is not a problem to us. If you would rather have a chat please call us on 01489 577786, we will be waiting for your call. I thought this would be an interesting project to share with you especially as it took us in a slightly different direction which is always an exciting prospect. 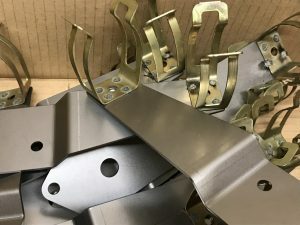 The customer approached me and asked if we would be able to produce bespoke metal furniture brackets, specifically for use in the assembly of stools, chairs and tables. They had a good idea of what they wanted to achieve but needed some production engineering support which we were happy to supply. 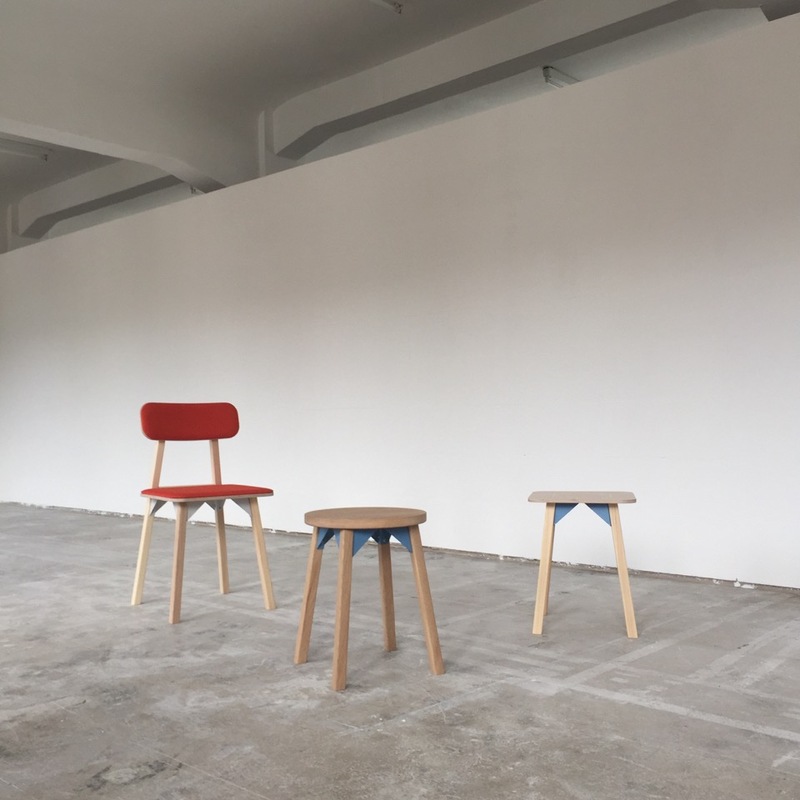 Initially brackets were made from 1.5mm mild steel and used in a selection of prototype stools, chairs and tables. 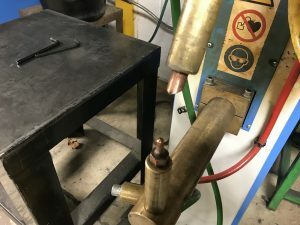 This was obviously a useful research and development exercise, as after a range of adults tried out the products in our customer’s factory it was felt that a heavier gauge would be preferable so in the final product we moved up a gauge to 2mm. For all products we produced small and large brackets, but the tables required 90 degree angle brackets whereas in the stools and chairs, this was set at a 97 degree angle. 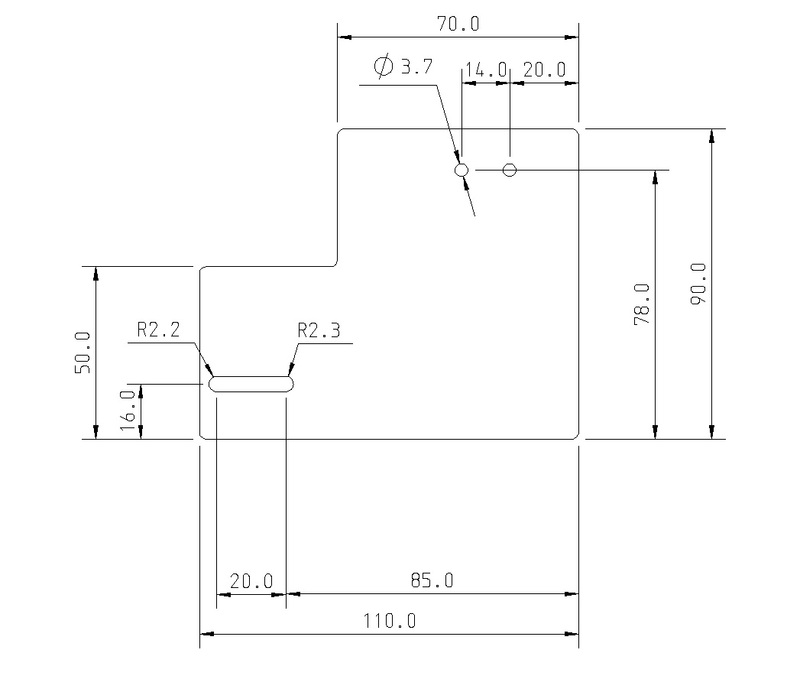 In the first instance data was given to us in a drawing format which we used to create 3D models in Radan software. We need to develop the flat blank and nest the components together to produce the best yield from the standard sheet material. 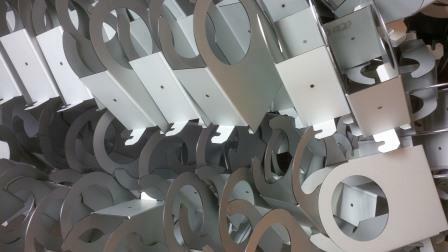 In this case the brackets were made in batch sizes from 100-400 from CR4 mild steel, from sheets of 2M x 1M in dimension. 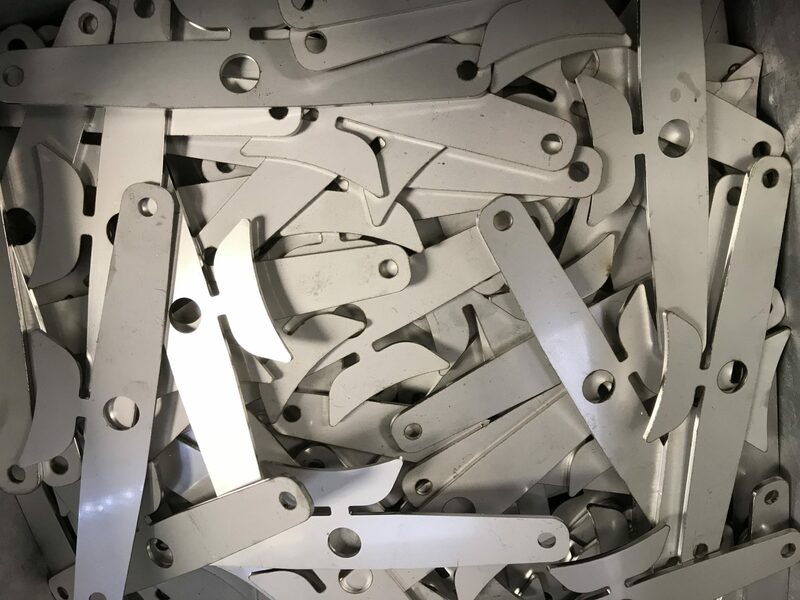 Here at V and F Sheet Metal we have an extensive library of forming tools and the holes you are able to see on each bracket were produced using one of these tools. For those of you with good eyesight it’s possible to see that all of the holes are conical in shape allowing for a countersunk screw to sit flush in the final product. In fact, the customer helpfully sent us the correct screws to use which allowed us to experiment and finally obtain the correct form in the sheet. As always we are happy to work with our customer to accommodate their specific needs at the time of manufacturing. Punching took place on our Trumpf 200 machine. 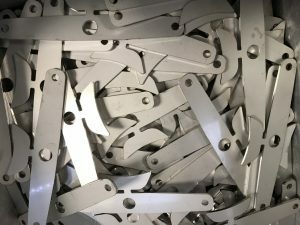 If you’ve never seen one of these in action before, I’ve included a clip in this post of the actual brackets being punched out. Bending of the brackets in to their final form takes place on our Trumpf 7036. Again there is a clip of these brackets being folded up. The very observant among you will notice in both the photos and folding up clip that each component has a set of “ears” built in to the flat blank to allow the machine operator to accurately position the blank in the bending machine, due to the unusual complexity of the shape. These 2 “ears” are notched off using a hydraulic corner notching machine so in the final product you would never know they were there! After a quick deburr the brackets are finally sent off for powder coating. The powder coated brackets were used by the customer in the production of very sleek and contemporary looking stools, chairs and tables. Some have already been installed in Berlin and London. If after reading this you think we could help you then please contact our engineering team at V and F Sheet Metal on 01489 577786 or drop us an email at sales@vandf.co.uk. We are always keen to help improve our customer’s designs to aid manufacturing and save them money. 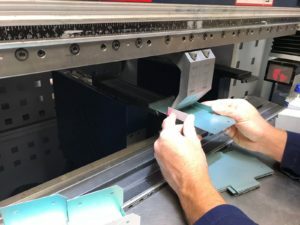 This video shows our Trumpf 200 during the process of CNC punching part of the furniture bracket outer profile. The final nest of brackets can be seen at the top of the post including the formed countersink holes. This video above clearly shows the process we go through to fold each bend on the brackets. Each bend position, depth and angle is programmed into the Trumpf 7036 CNC press brake. The operator can then following the bend sequence and produce the final bracket. 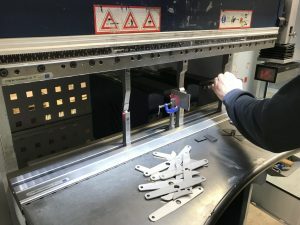 You will see that due to the complex nature of the bracket shape we use a tag to help position the bracket against the back stops on the press brake. This was an interesting little job I saw in the workshop today and gives me the chance to talk about the pros and cons of pre-coated materials. The customer wanted us to produce a batch of 300 electric motor covers. These were made from mild steel with zinc coating on the underside. The top face has a thick white plastic coating bonded to it and on top of this sits a low tac 4 thou (0.1016mm) peelable protective film. 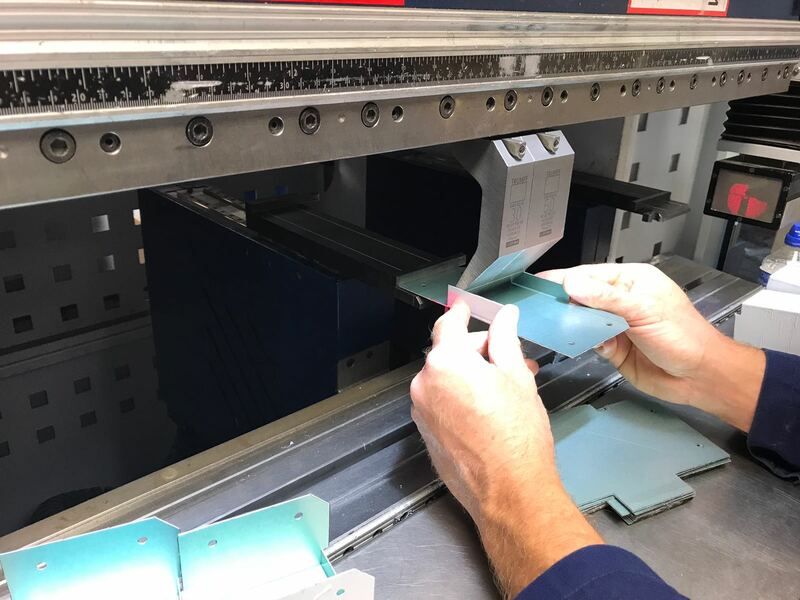 This film actually stays in place throughout the entire cutting and manufacturing process and remains there whilst the components are being transported to the customer. It is only removed at site after delivery, by the customer. The flat blanks here were punched out using our Trumpf 3000R punching machine. This is obviously slower than using our Trumpf fibre laser but unfortunately pre-coated materials such as highly reflective pre-anodised reflector material, pre-painted material or plastic coated material (as seen here) are not suited to laser cutting. For this job 0.9mm mild steel was used but with the coating on it measures 1.2mm. The coating is very durable and tough with a leatherette finish. It would be a good coating to use for something such as a radiator cover. Another advantage is that it is relatively cheap as it bypasses the need for another process such as powder coating. 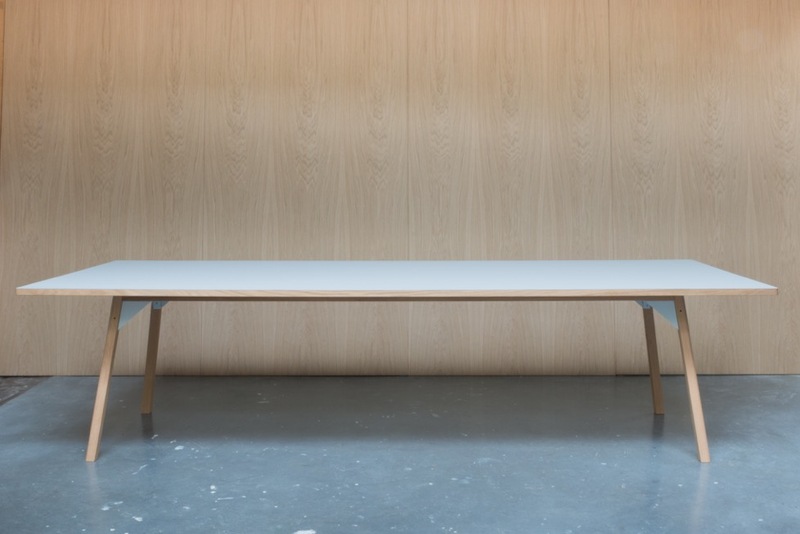 However, unlike powder coating it does leave exposed edges so is only suitable for interior settings. 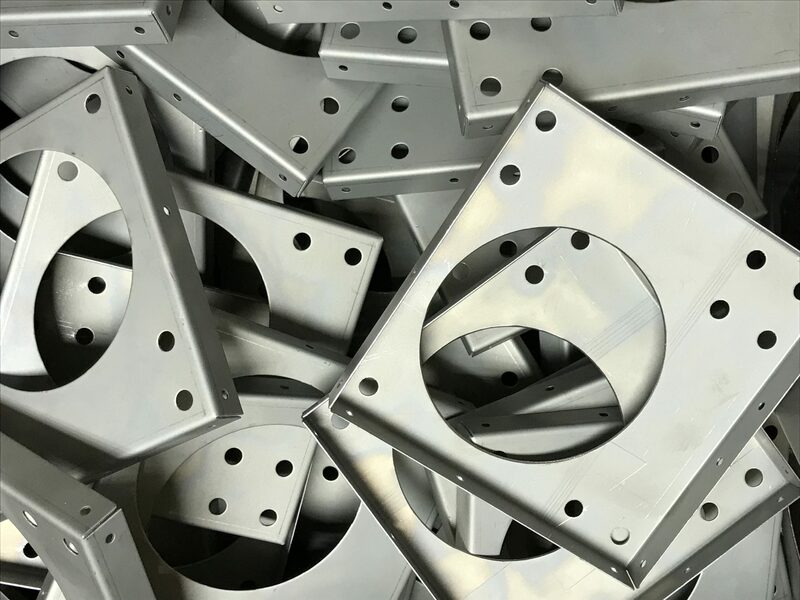 Take a look at our website for more insights into past and recent sheet metal projects and the help we can give you with your designs. There’s also a useful section dedicated to our plant list and detailed help on tooling. If you are looking to purchase metal work in Great Britain, then do it it’s easy! No complications with language problems or expensive shipping costs. Just pick up the phone and talk to us on 01489 577786. Alternatively send us your drawings to sales@vandf.co.uk and we will produce some estimates for you. Basically if you want to have sheet metal work produced in the south of England we would be more than pleased to help you. Phew what a scorcher! But our team are still carrying on! I don’t know about you but I enjoy this lovely weather on the rare occasion it comes our way in England! I might even get my shorts on and lounge around in the garden with a nice cold drink at the weekend. But like many of us, our team of dedicated staff find it no joke trying to work in this heat in the office and on the shop floor! No air conditioning here! However despite the heat, we’re trying to make the best of it and push on through the heat to bring you the best in manufacturing design and production from our company in Fareham, Hampshire. 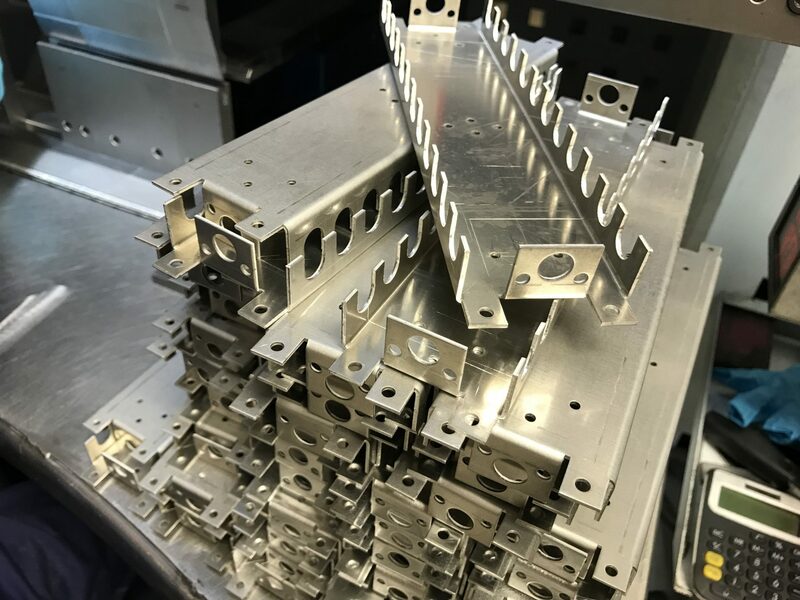 We usually post about our very latest engineering projects to give you an idea of the sheer range of metal work components we’re able to produce using our up to date plant list and tooling. However today I’ve just posted up a few photos of the members of our team hard at work despite the hot weather! We have an experienced team of staff here, both on and off the shop floor. Please don’t hesitate to send us your drawings and we will quickly be able to see if we can help. Email us at sales@vandf.co.uk or give us a call on 01486 577786 if you are still not sure and we can talk through all the options. We are in a reflector mood at V and F Sheet Metal today! You’ve guessed it, today I’m talking about the latest batch of reflectors we recently made in our factory! 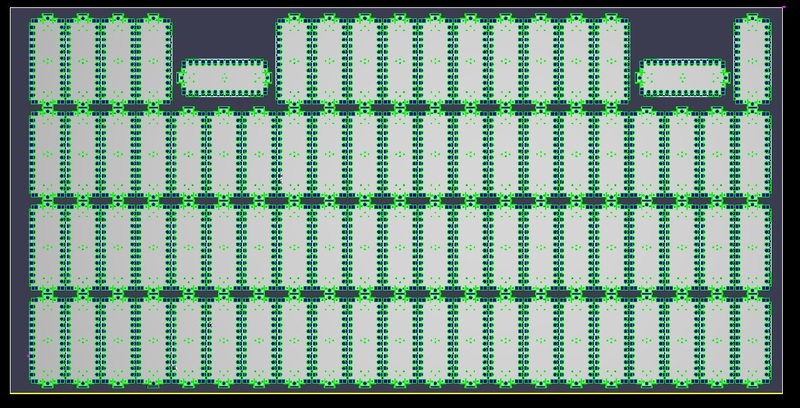 So if you’re interested in the process of reflector assembly then please read on. 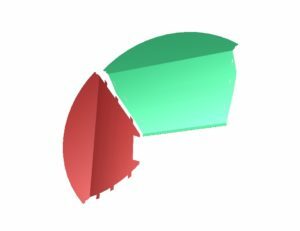 Using the method of 3D modelling we were able to accurately calculate the reflector shapes and sizes that would fit together to produce the final reflector assembly. Each part is made using the same material, Alanod 33PG 0.4mm thick reflector aluminium. The 4 individual pieces of metal are joined together to produce a circular reflector. 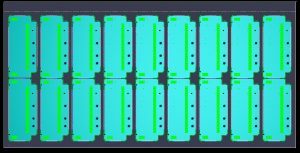 The red sections have tabs on their outer edges, these fit in to corresponding slots on the sides of the green sections. 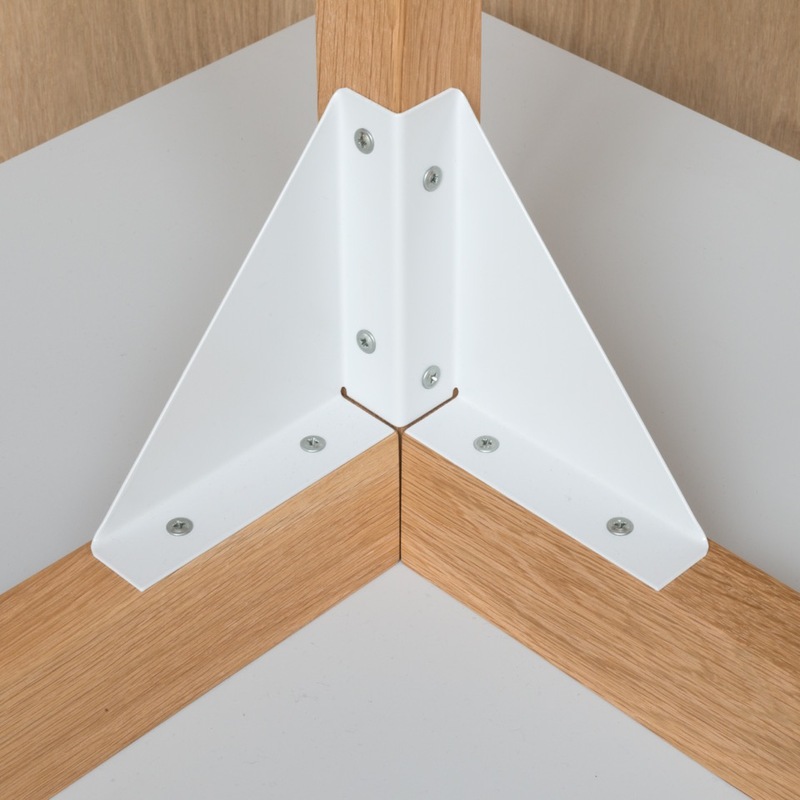 Tabs and slots allow for a cheap method of assembly as other components such as bushes and studs are not required. In addition, the method of assembly is relatively easy. The reflectors could be assembled by V and F Sheet Metal or the customer, the choice is there. It goes without saying that this method of assembly is only useful when the metal being used is thin and soft enough to be deformed by hand. 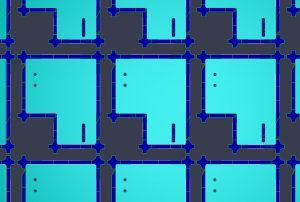 After the modelling using Radan software we need to develop the flat blank and nest the components together to produce the best yield from the material. In this case both parts have been mixed together in the same nest. 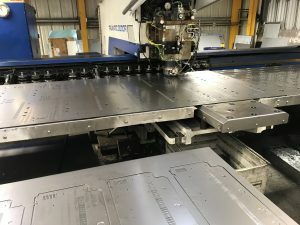 Parts were punched out on our Trumpf 200 CNC punch press from sheet aluminium 2m long x 1.25m wide. As you can see in the final image, the material used has a convex hammer pattern, but it is also available in a concave design. The convex arrangement produces a soft lighting effect which would be useful in certain situations where a soft/background lighting is required. If you have a product that you think may benefit from using tabs and slots then please give us a call on 01489 577786 or email if you prefer at sales@vandf.co.uk. Our sheet metal engineering team are always happy to help and love a challenge. With over 50 years experience between them there’s not much they haven’t come across in the world of lighting. For a range of lighting and past reflector projects take a look at our Pinterest Lighting Board. So the best place to start when you want an accurate sheet metal component is an accurate blank. Using years of experience and the latest CAD/CAM software we are able to offer this with little fuss. Linking CNC programs to our CNC punching and laser cutting machines leads to efficient manufacturing. If you can start with an accurate blank it makes folding sheet metal brackets so much easier. 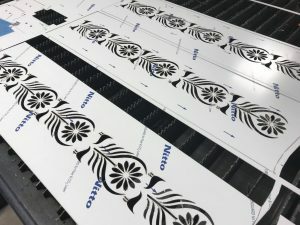 The best way to produce an accurate sheet metal blank is to use a laser cutter. 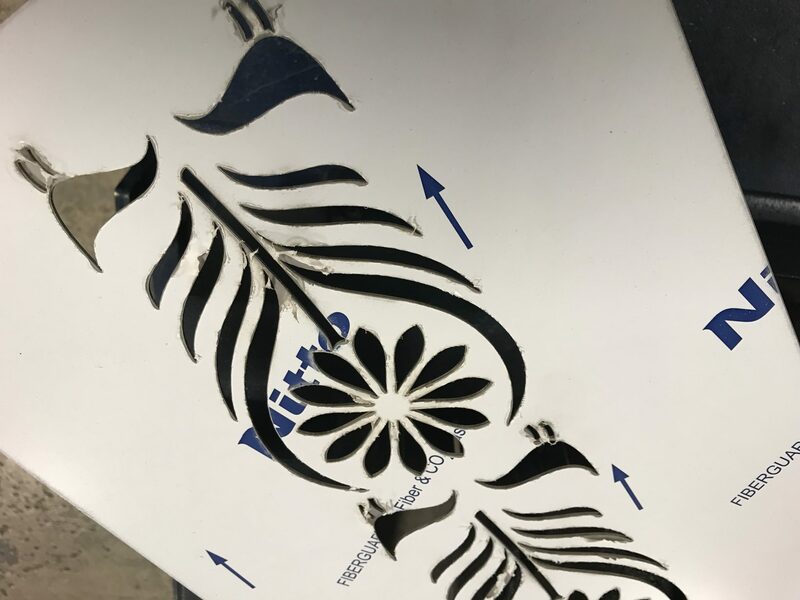 We have the option of cutting accurate sheet metal blanks using our Trumpf 3030 fibre laser cutter. Depending on the component’s shape, material and thickness we will decide whether to CNC punch or laser cut. These parts have been laser cut which was perfect for the shape and batch size involved. 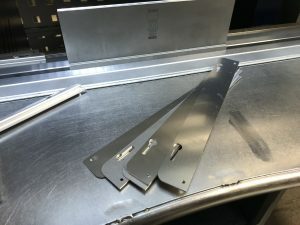 Once an accurate sheet metal blank has been produced we can tackle the folding. We are lucky to have such a wide range of machines to fold our sheet metal work. Perhaps we might have a simple sheet metal part and fold it on a fly-press of Guifil CNC press brake. We may use our Safan e-brake with it’s 3M bed. In this case the Trumpf 7036 CNC press brakes were ideal for the job. The component’s CNC program was written in under 10 minutes. The tooling was all laid out for one bending sequence. And off we went producing parts. Finally the finished article. A mild steel bracket with a series of bends and stiffening points built into the bends. 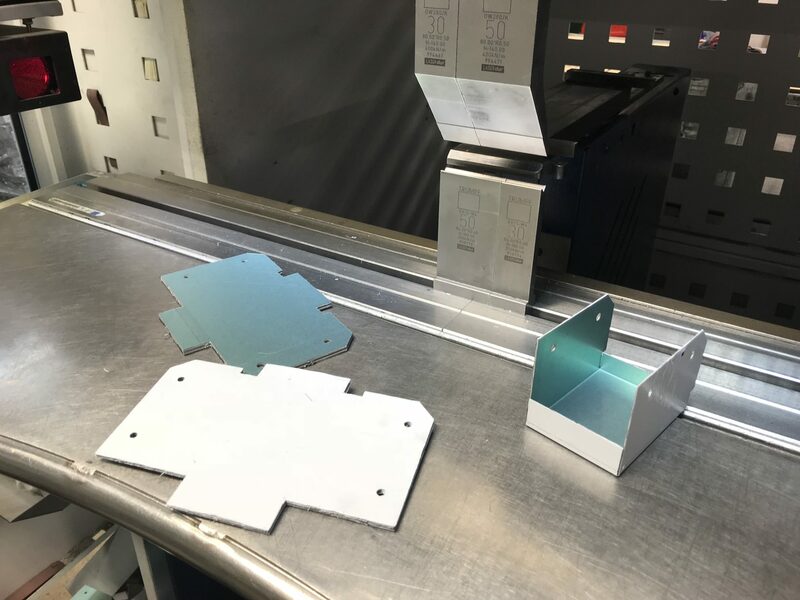 Folding sheet metal brackets couldn’t be made easier than when using a laser cutter in conjunction with a CNC press brake. Looking to get some sheet metal brackets manufactured then please give us a call. 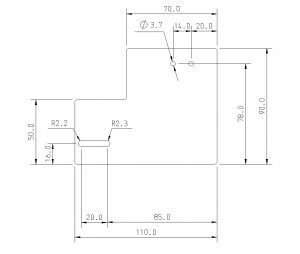 We love a challange, send us your STEP or DXF files and we will get working on a quote for you. Call 01489 577786 or e-mail sales@vandf.co.uk for help with your sheet metal project. Nowadays when you think of cut stainless steel sheet metal components you think of laser cutting. If laser cutting is what you want we can certainly accommodate that with our Trumpf 3030 fibre laser. But, you shouldn’t ignore CNC punching especially on thinner gauges. These 304 stainless steel brackets were easily CNC punched out. 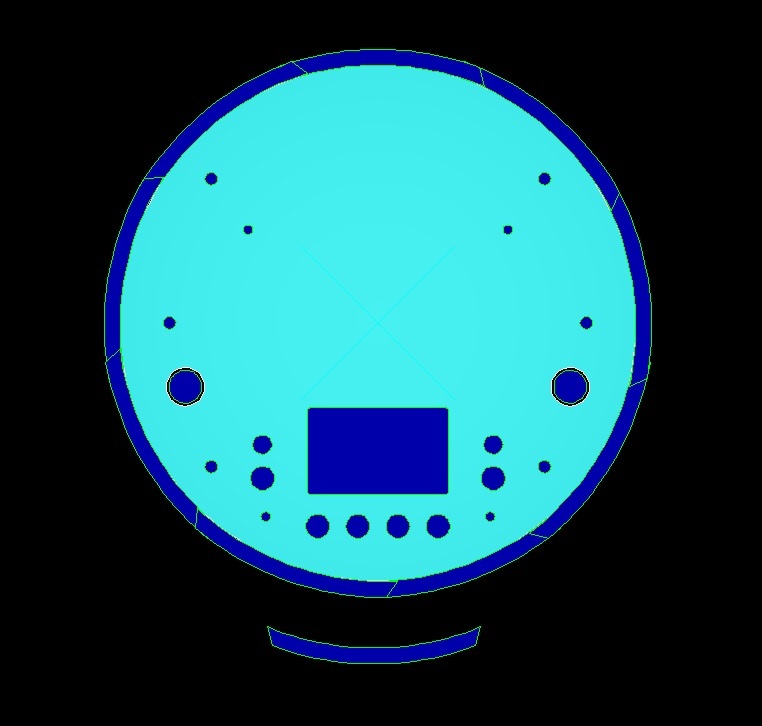 If the shape is simple then CNC punching is a very competitive manufacturing method. There are obviously some parts that are better cut on a laser machine. These could be where the shape is complex or the gauge is too thick to CNC punch. We will take a view on every drawing we receive from our customers. We will always select the best method to produce a quality part at the right price. And using Radan CAD/CAM software enables us to swap from one machine to another very easily. If there is a bottleneck in production we can swap jobs around to suit your delivery needs. You don’t have to worry about which method we will us unless it’s important to you. We have all bases covered here at V and F Sheet Metal and are always happy to help you. Send us your drawings and our engineering team will be please to take a look for you. Even if you just want to refresh prices on an old project we are here to help. 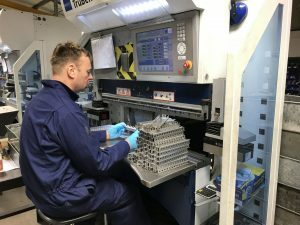 Looking for a company to produce your small components in large batches? Here at V and F Sheet Metal we’re ideally placed to do this for you using our Trumpf laser cutting machine. 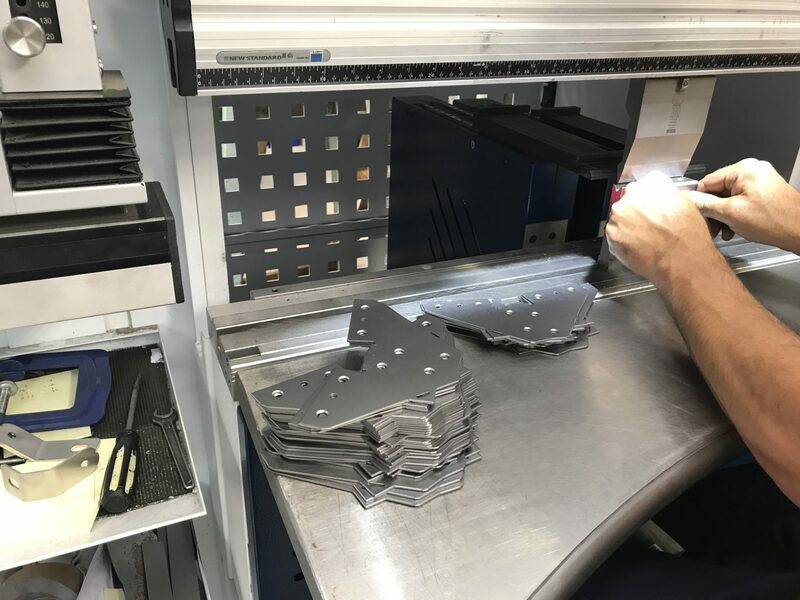 Small flat components, such as the examples shown here, are ideally suited to production on this machine and we love to use it! 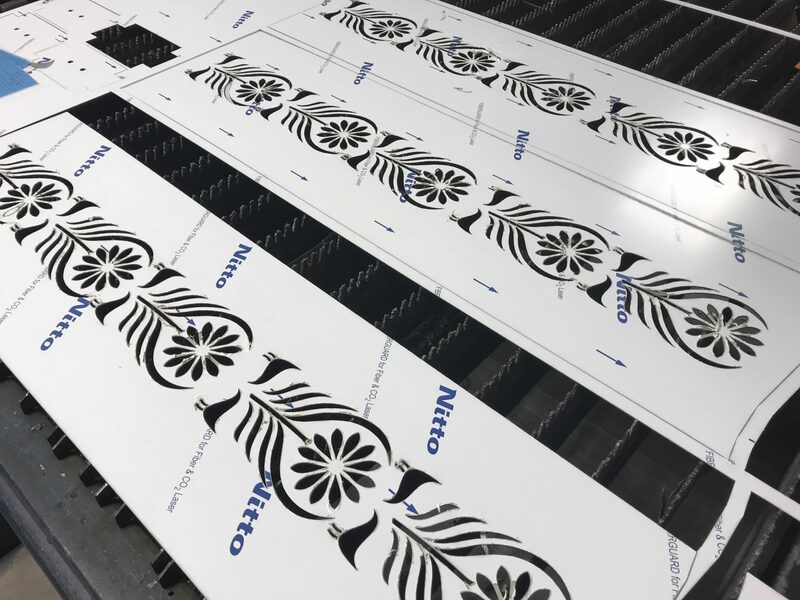 The laser cutter is extremely versatile, being able to cut any shape into mild steel sheet without the need for dedicated tooling. This is a real advantage for many of our customers with smaller batch size projects. 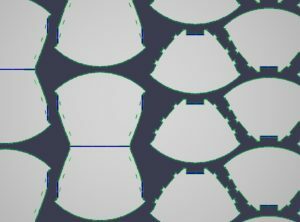 In addition we’ve found that most laser cutting nests that we have converted have shown a better yield of components from a given sheet size. Always an attractive feature. For mild steel there is the need for cutting head assist gases which can be compressed air, oxygen or nitrogen, all of which we have available here at V and F Sheet Metal. The extra cost of the gases can usually be offset by the reduced material usage and the reduction in de-burring time offering a better quality part that is cost neutral for our customers. The Trumpf laser can easily handle a range of metal gauges and its versatility lies in the array of complex shapes it’s able to produce. As you can see from the photos, this machine has the advantage of being able to generate a smooth consistent arc as compared to a standard punching technique. The small components here are made of mild steel, 2-3 mm thick and will either be powder coated or zinc plated further down the line. If you take a closer look, all of these components demonstrate “safe designs” with rads on corners making them safe and easy to handle. Always a feature worth considering. 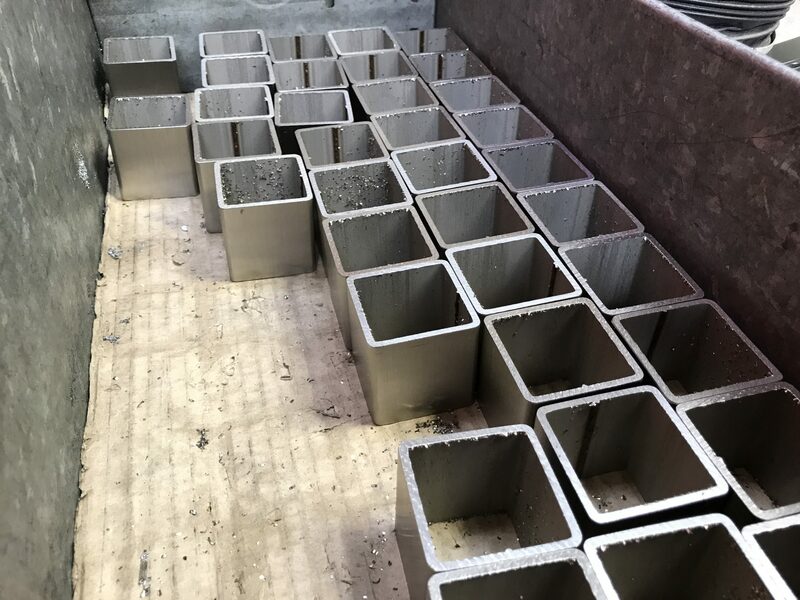 These are typical examples of the repeating batch work we are involved in and usually, although not exclusively, for UK customers. Perhaps you have some small sheet metal components that need to be manufactured? If so then please feel free to give us a call. We are always happy to take a look at new projects, we may be able to save you time and money with only a small design change. We can offer you free advice to improve material usage, reduce production time and select the most appropriate material type and finish. Please e-mail us on sales@vandf.co.uk with your drawings attached. Alternatively give us call on 01489 577786 and we will be more than happy to talk. Let’s talk about grades of commercial stainless steel in Hampshire 2018! 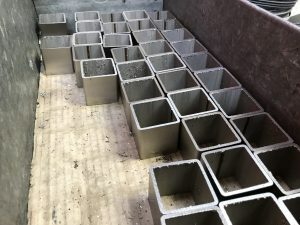 It’s time to look at some recently cut stainless steel brackets as this gives me the ideal opportunity to talk about the different grades of commercial stainless steel available. We often find our customers are unsure about the grade of stainless they require and turn to us for advice. 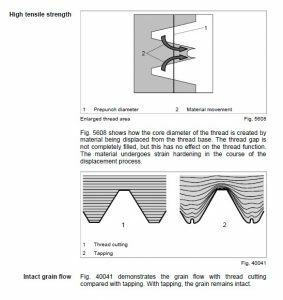 Sometimes we find the grade is stated but it may be incorrectly specified which could have an impact on the durability of the final product. Moreover it could effect the final cost of each component through “over specification” when a lower grade stainless would have “done the job” adequately. Here at V and F Sheet Metal we mainly use three different grades of stainless steel. Grade 430 is the cheapest, lowest grade with good formability and ductility. It displays magnet properties but is not very corrosion resistance. With these properties in mind, its easy to see why its uses lie in decorative trim and domestic situations. Grade 304 is a mid range versatile and widely used stainless. It contains more chrome and nickel and displays good corrosion resistance. It’s found in outdoor settings, such as sign production where the exposure to water is not a problem. Grade 316 is a high quality stainless with an addition of molybdenum giving rise to improved resistance to corrosion. This renders it particularly useful in chloride environments and makes it the stainless of choice in marine environments where metal work is constantly under attack from salty water. It is also used in the catering industry and in the production of high quality surgical components. 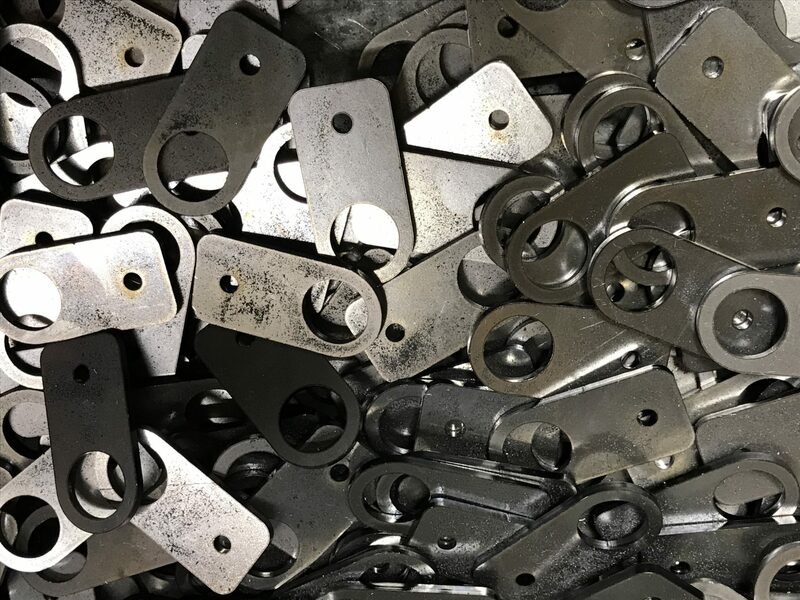 The batch of 250 laser cut brackets shown here were made for an outdoor setting using grade 304 stainless. They were folded on one of our Trumpf 7036 CNC controlled press brakes. Obviously the laser cut components are flat to begin with but they need to be curved and this is achieved using a multiple bending technique, all carried out on the press brake. There is no end to the flexibility of these machines when it comes to bending! 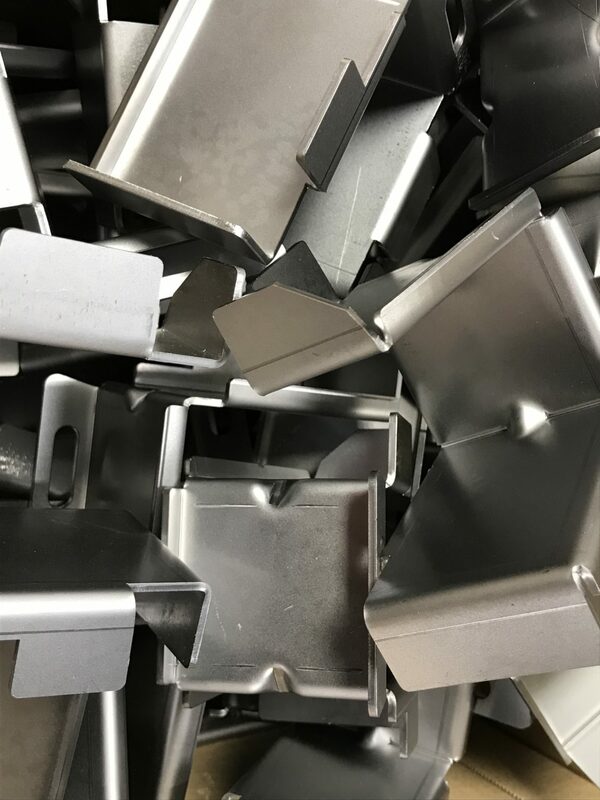 If you are unsure about which grade of stainless you need for your next project then please contact us at V and F Sheet Metal on 01489 577786 or email sales@vandf.co.uk. We look forward to giving you the advice you need and producing your components. Often I’m asked by a customer to produce a part made of two dissimilar materials. 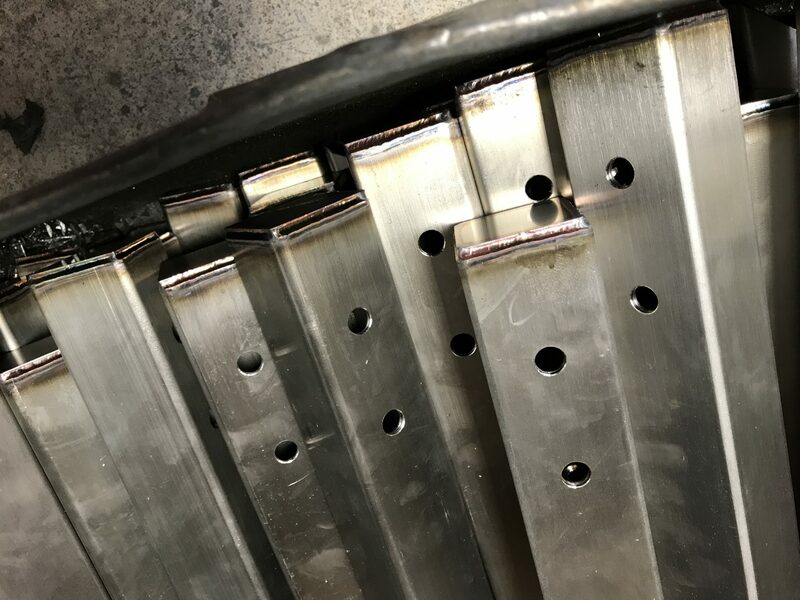 This is no problem for our skilled staff at V and F Sheet Metal, it just calls for the technique of spot welding. The process whereby two pieces of sheet metal are joined together using spot welds made at regular intervals on overlapping sheets of metal. We have four spot welding machines in our factory in Fareham, Hampshire set up as individual spot welding bays. 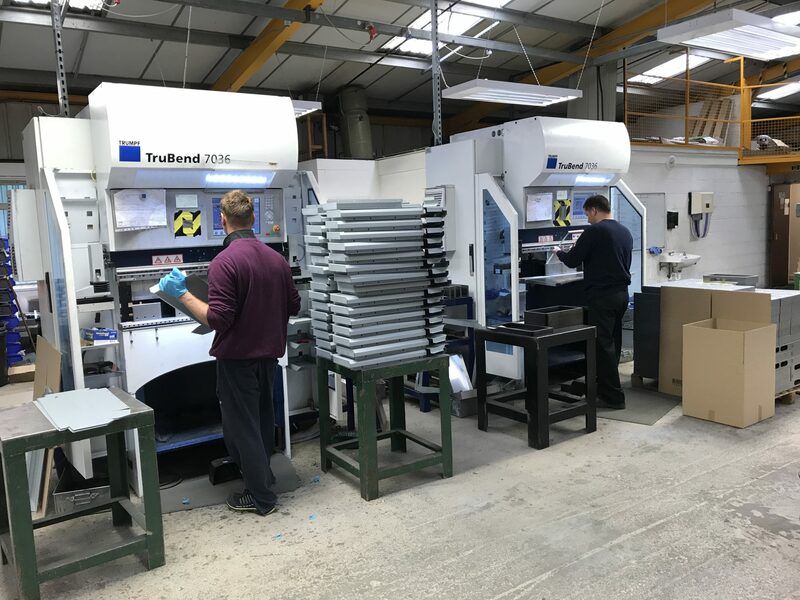 We feel it is important to have more than one machine as this gives us the ability to offer our customers a high degree of flexibility and ensures that your “job” is not held up waiting in a queue. Many customers require a quick turn around time and in some cases the moment from order confirmation to delivery is surprisingly short. As the saying goes time is money! One of the photos shows a close up of the welding electrodes showing copper tips in brass holders. During the welding process the top electrode moves up and down and the bottom one remains stationary. Using these electrodes, the welding current is concentrated into a small “spot”, thus forcing a large current through the spot and melting the metal to form the weld. In this case the completed part was a mild steel bracket with a zinc plated and colour passivated steel clip attached. The clip was free issued to us by the customer. 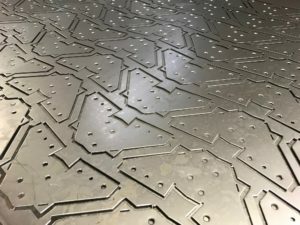 If you are interested in this particular technique and would like to learn more about the process in detail, then please take a look at the information on Spot Welding sheet metal under our plant list. There’s even a short clip of spot welding in action in our factory! Give us a call today at V and F Sheet Metal in Fareham, Hampshire to discuss all your metalwork needs. Contact us on 01489 577786 or email us at sales@vandf.co.uk. We are bananas about our CNC punch press tooling at V and F Sheet Metal! 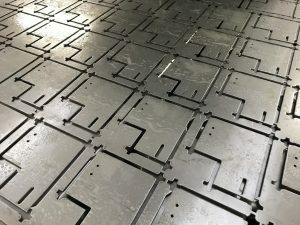 The latest component I’ve been asked to make has given me the opportunity to talk about CNC punch press tooling, and more specifically the banana tool. Although the part is simply circular in shape, it still needs some thought on how this shape is created. We could have used the Trumpf fibre laser but in this case we chose to run the job on the Trumpf 3000. If this machine had been busy then we could have swapped to the Trumpf 200. Obviously, we like to offer this flexibility in our work shop and our regular customers appreciate this, as they know their job will not be held up in a queue. The first photo is a Radan view of the part. Below the circular part is the CNC punch press tool used to produce it, a banana tool. This tool has a choice of external and internal radii. These could be same or different to each other. In this case the internal radius of the tool was used to produce the external circumference of the component. We have many tools available at V and F Sheet Metal so if one doesn’t suit, we’ll probably find one that will! The tool could be used to create the external radius of the part or the internal radius of a hole in a piece of metal. The second image shows the Radan nest of parts arranged on a 2m x 1m sheet of 3mm thick aluminium. Obviously as components are cut out of the sheet they will fall out so there is a chute underneath the machine for collection. 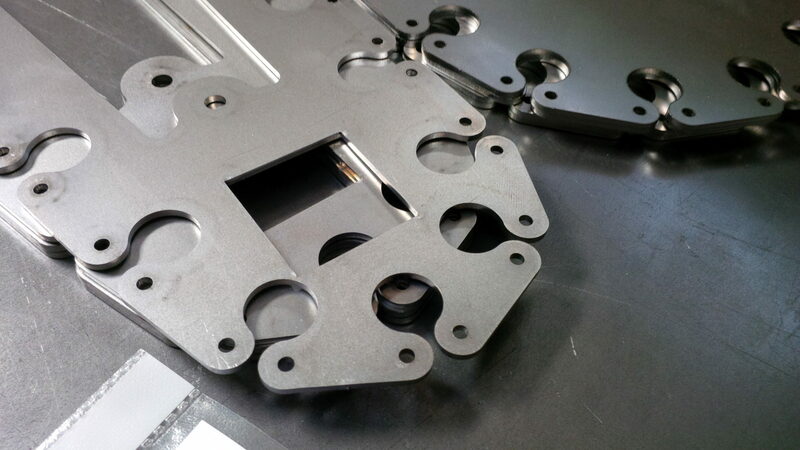 All holes in the component are punched out first and the cutting out of each individual component is the last step. The left over “skeleton” sheet and punched slugs are recycled. For the final stage of production the components are sent off for powder coating. Please feel free to contact us at V and F Sheet Metal if you would like to talk about CNC punch press tooling. We’re always happy to help. Call us on 01489 577786 or email salea@vandf.co.uk. 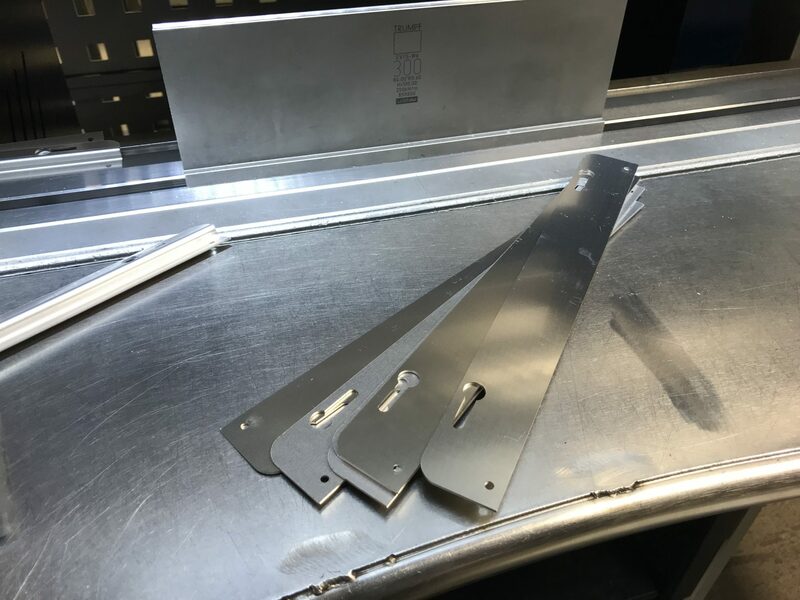 Laser cutting sheet metal work is a process we’re proud to offer at V and F Sheet Metal. So I jumped at the chance to talk about a recent interesting job that came our way. My customer required a rather intricate decorative handrail made in stainless steel for installation in a lady’s home. 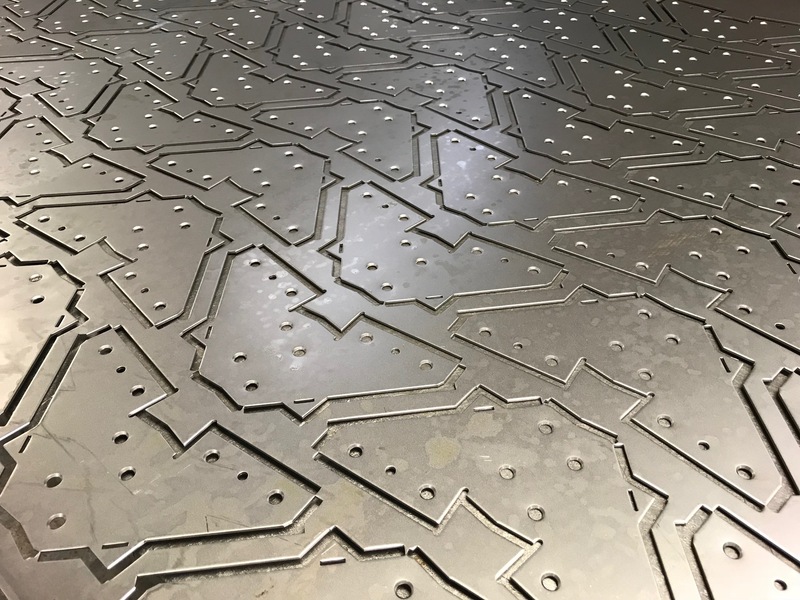 The complex and artistic pattern makes it an ideal job for our Trumpf 3030 3KW fiber laser. 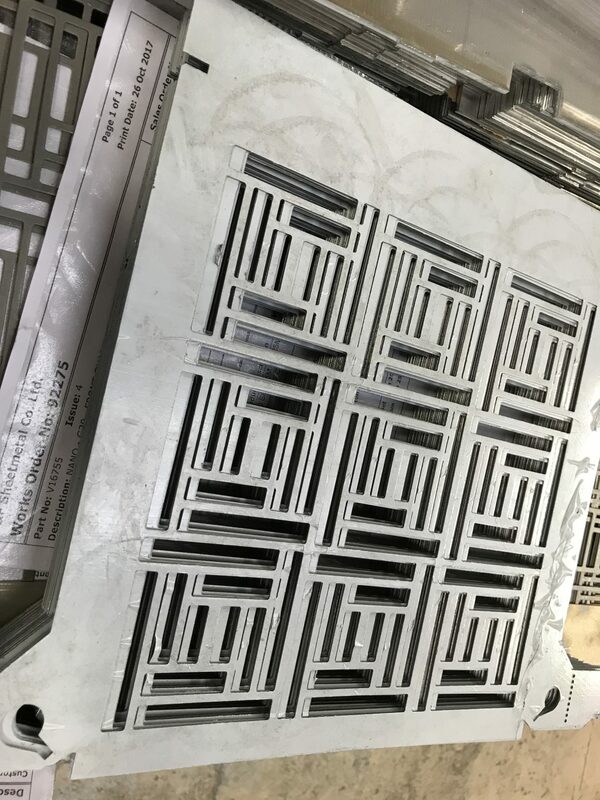 We received a DXF file from our customer. A file with the .DXF file extension is a Drawing Exchange Format file developed as a type of universal format for storing CAD models. 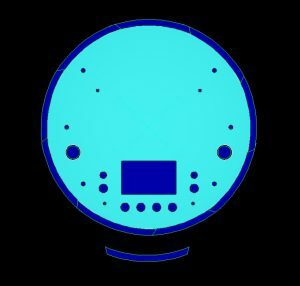 DXF files can easily be opened in CAD packages enabling an accurate and competitively priced quote to be created. The red photo is the image created in Radan software. The remaining photos show the cut out rail covered in a plastic coating. This coating is removed after laser cutting. Do you have a complex project you’re looking at right now? If you think laser cutting may be the way forward then we may be able to assist you! Please give our friendly team a call on 01489 577786. Alternatively email us on sales@vandf.co.uk. In this post I thought I would concentrate on a recent project which makes use of a cluster tool. A customer from overseas required a 1U chassis made from 1.2mm mild steel to slot in to a 19 inch rack. If you are not familiar with the U, it is a unit of distance used to measure height of standard racks in which computer, video or audio components are mounted. Over a thousand sets of components were required and as you can see from the photos, each part contains many ventilation slots. 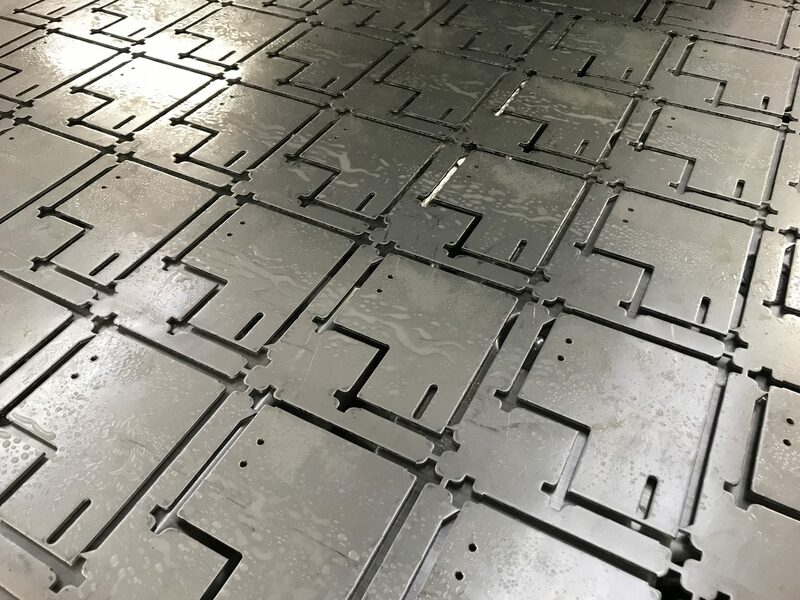 Due to the high volume of parts needed, I suggested to the customer that we use a punch press cluster tool to produce the slots, thus cutting down on production time and saving money. In fact the tool paid for itself within the first batch! 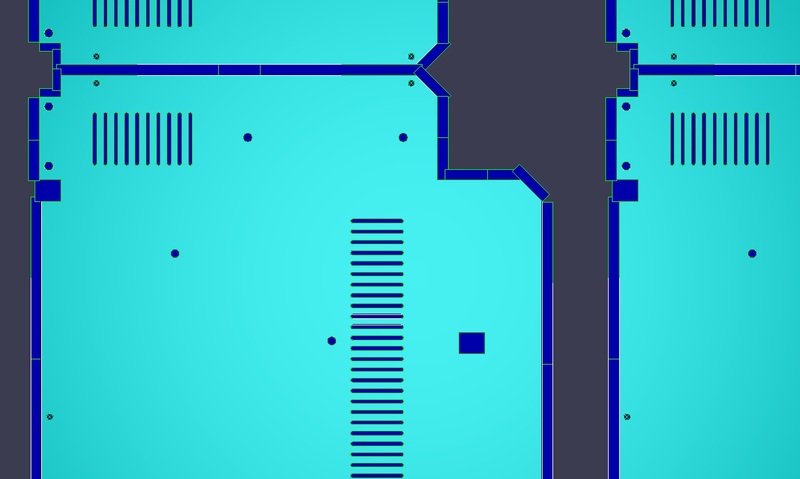 The blue images are produced using Radan software. 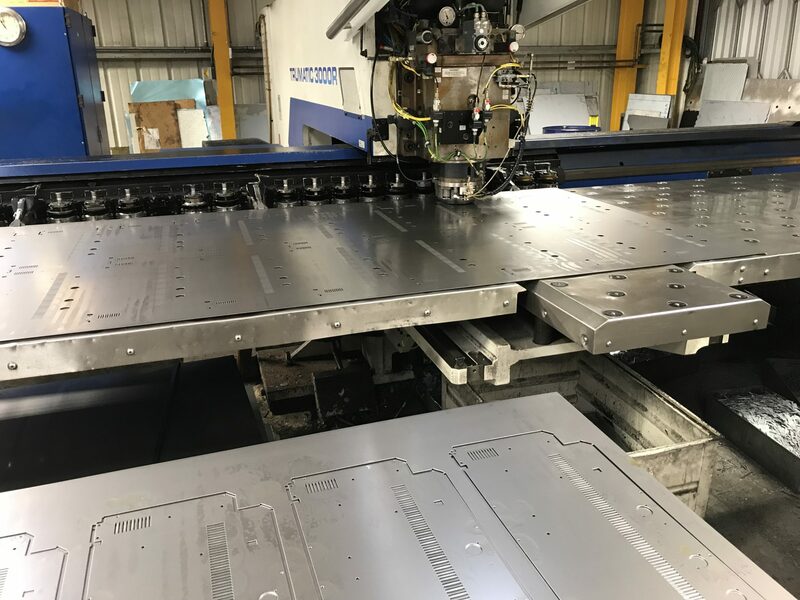 The NEST image shows each set of components laid out on a sheet of 2m x 1m mild steel ready to be punched out on the Trumpf 3000R. If the Trumpf 3000R had been in use it would a have been equally possible to use our Trumpf 200R for production. We are a flexible bunch here at V and F Sheet Metal! If this has given you an idea about the possible uses of tooling on a product you are looking to have made yourself then please contact us. We may be able to save on your production time and cut down on the final cost. We are a friendly team at V and F Sheet Metal and one of our experienced engineers is always happy to discuss all your requirements with you. Call us today on 01489 577786 or email at sales@vandf.co.uk. Now this sheet metal product caught my eye whilst walking around the factory this week. I thought it was worth a mention as it combines two separate processes of sheet metal manufacturing, namely bending and rolling. 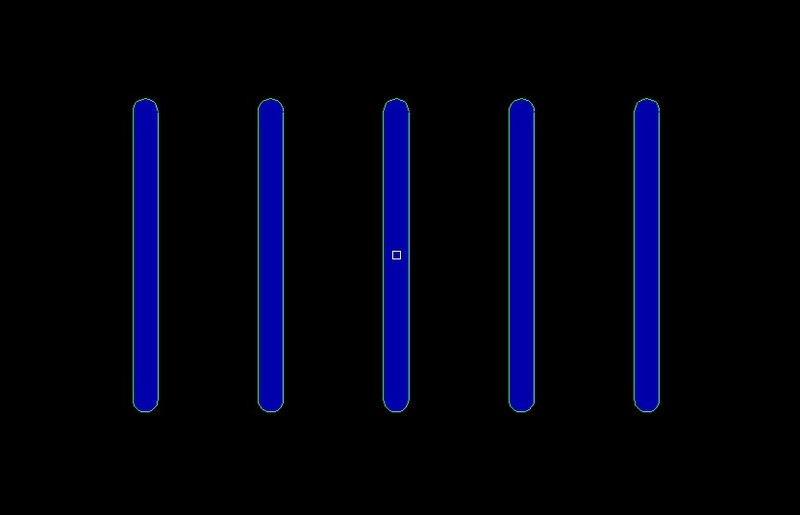 On both images, on the inside of the rolled end it’s possible to see a series of lines. 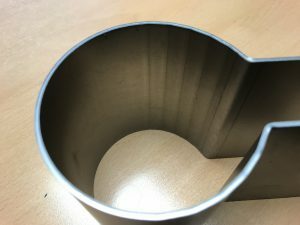 This gives a clue to the process used, as a series of bends were made using the Trumpf 7036 to begin to produce a preform curve. 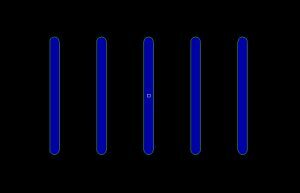 As the lines disappear and the inner surface appears smooth, this indicates that the metal has been rolled on a set of rollers. At V and F Sheet Metal we have a series of hand rollers and brand new powered rollers. We have the capability to roll up to 1m wide and 3mm thick mild steel. However, we are able to roll up thicker metal in smaller strips when the need arises. 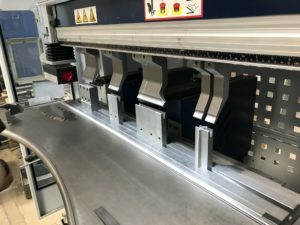 Please take a look at our plant list on rolling sheet metal work for more detailed information and examples of past sheet metal projects. These particular items were used to clamp small exterior floodlights to poles around a university campus. They were made from 2mm mild steel and then they were powder coated. If you have a product that requires rolling or forming as part of your design then please don’t hesitate to give us a call on 01489 577786 or email if you prefer at sales@vandf.co.uk. We can read DXF, DWG, SAT and STEP CAD files and produce drawings where needed from our customers sketches or samples. Our friendly sheet metal engineering team are always happy to help and love a challenge. With over 50 years experience between them there’s not much they haven’t come across. Today we’re looking at the production of metal enclosures. I think this process displays nicely the flexibility and time saving features of Radan software. So how do we begin the process? Well in this case the customer required production of a sheet metal enclosure using 1.2mm aluminium alloy. We always start with a 3D model on Radan, this allows us to make sure all the fixing holes line up before starting production. This model may come directly from our customer as a STEP or SAT file. If that is not available to us we will create the 3D model using our customers dimensioned drawings. Either way we have control of the basic design information needed to produce the correct developed blank shape and size. The developed blank shows the shape of the final enclosure in the flat (grey). The dark blue surrounding the blank is the shape produced by all the CNC punch press tooling. 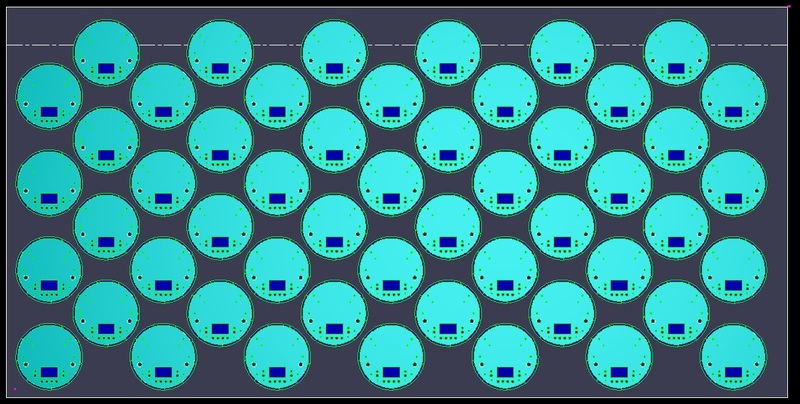 The tooling can be added to the blank shape automatically by the software. We still have the ability to alter this tooling to suit our own requirements where needed. Following on from this the blanks are set out on a full sheet of metal. In this case the sheet size is 2M x 1M. 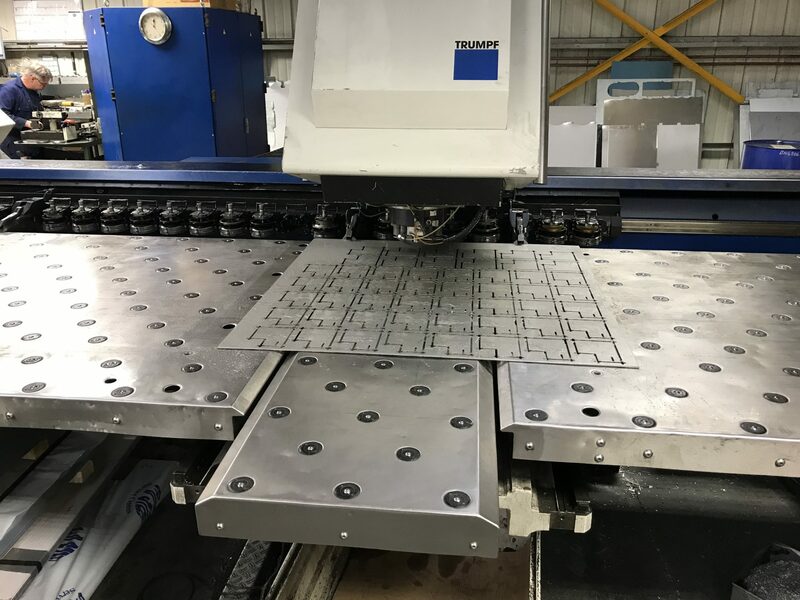 When CNC punching our Trumpf CNC punch presses can work with sheet up to 2.5M x 1.25M. 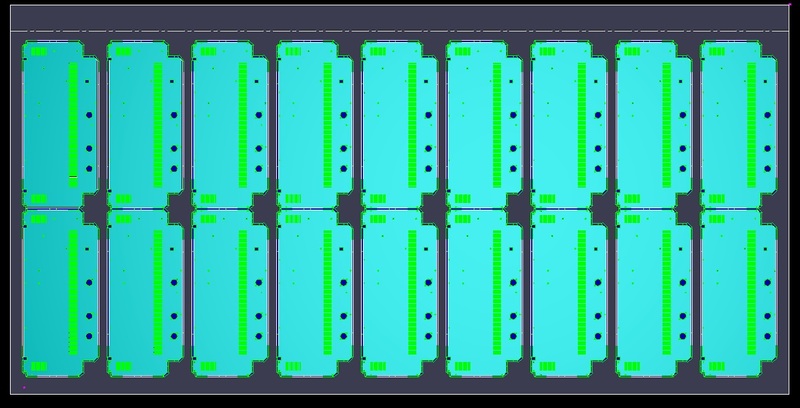 Smaller panels can be programmed where needed for small components or smaller batches of work. This is definitely where the versatility of the Trumpf machine comes in to it’s own. You might have noticed that the back 2 components have been turned at 90 degrees to the rest. Why so ? This is the region where the clamps hold the metal in place. 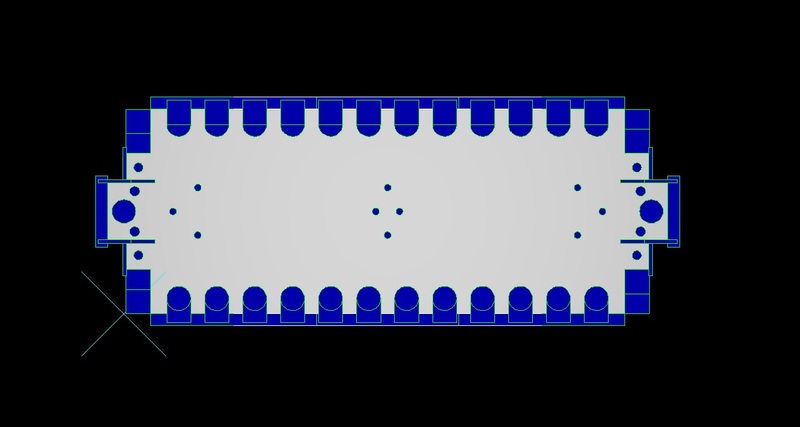 Therefore the turning of these components is necessary but still allows for the maximum number of parts to be punched from one sheet. In addition, we have the capacity to to produce these parts on either the Trumpf 200 or 3000 as the same tooling fits both machines. A useful feature in a busy workshop, allowing production to be swapped from one machine to another. 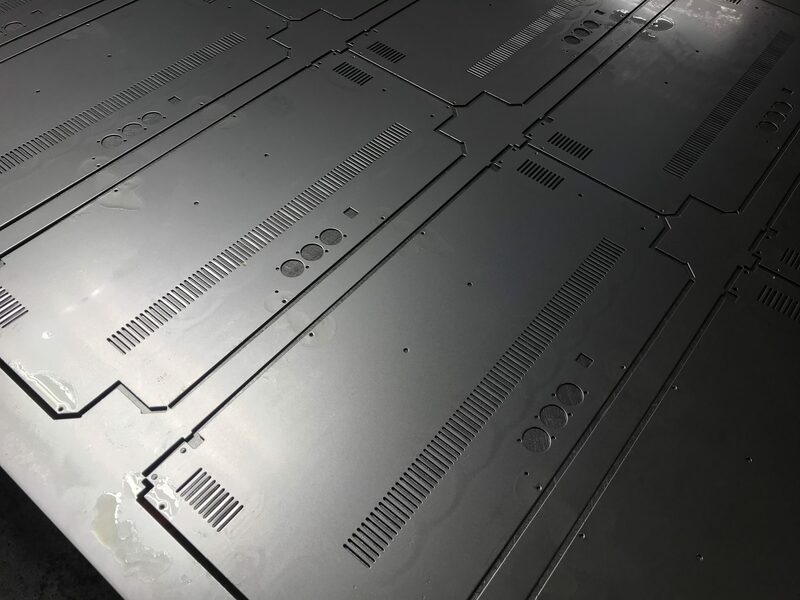 Finally, once all of the sheet metal enclosure components have been CNC punched, we deburr the edges before moving on to the last stage which is folding. 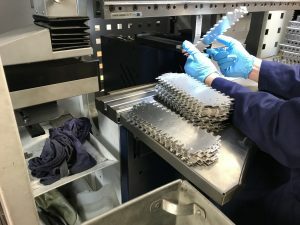 The image here shows a skilled employee folding up the components on one of our Trumpf 7036 CNC press brakes. 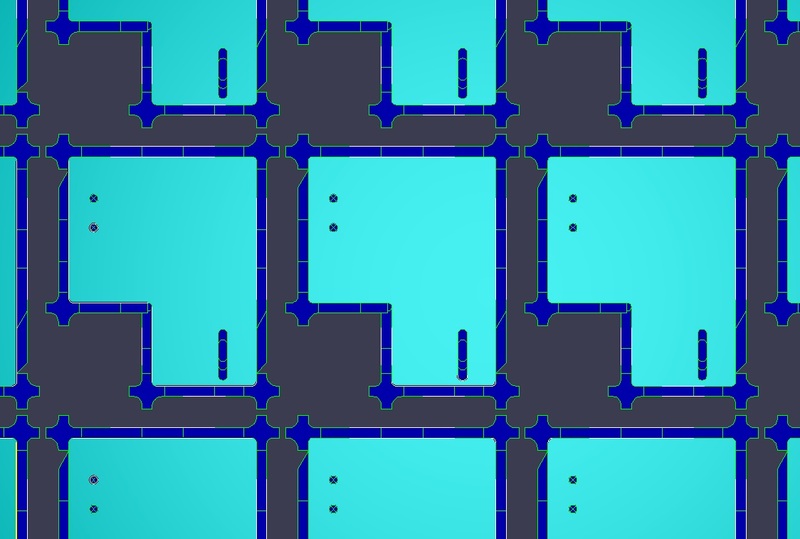 By using the Radan software at the design stage, the final components should perfectly match the model. This allows us to save time and effort when making the first batch of samples or production. 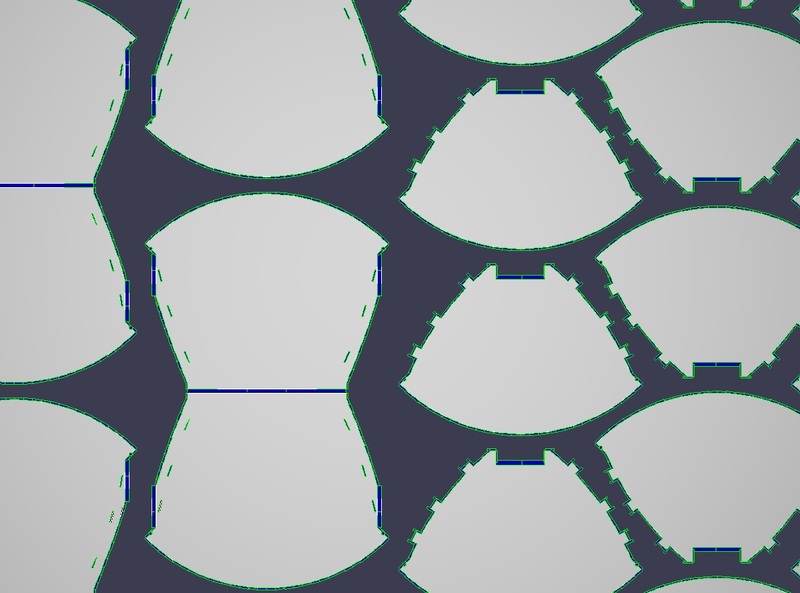 Any alterations can be fed back to the 3D model and subsequent 2D tooled CNC punching nests. This process can also be applied when a customer requires a design change to take place. Please feel free to look at our website pages which gives up to date information on our plant list, tooling and design data. You have the ability to search all our blog posts so if this post doesn’t quite fit your needs then something else will! There is also an extensive gallery of photos. If after reading this you think we could help you then please contact our engineering team at V and F Sheet Metal on 01489 577786 or drop us an email at sale@vandf.co.uk. We can’t wait to hear from you! 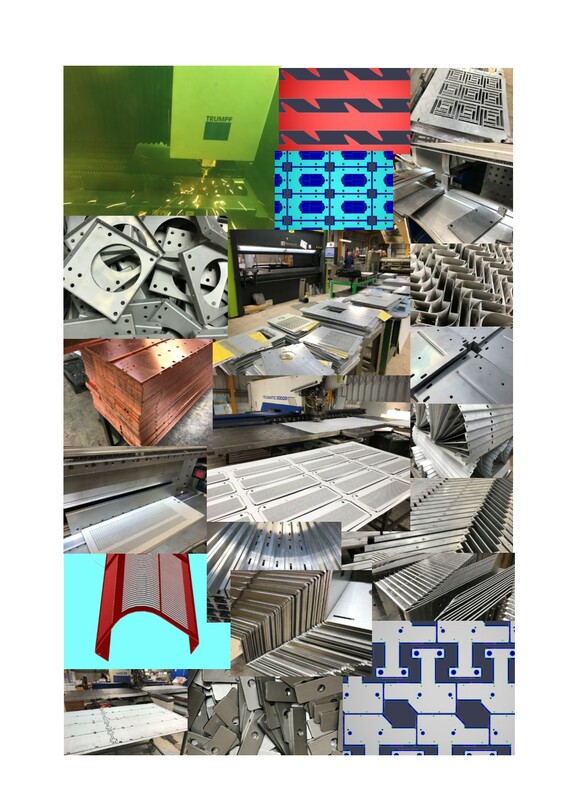 If you are looking for sheet metal fabrications manufactured in Great Britain then V and F Sheet Metal should be able to help you. 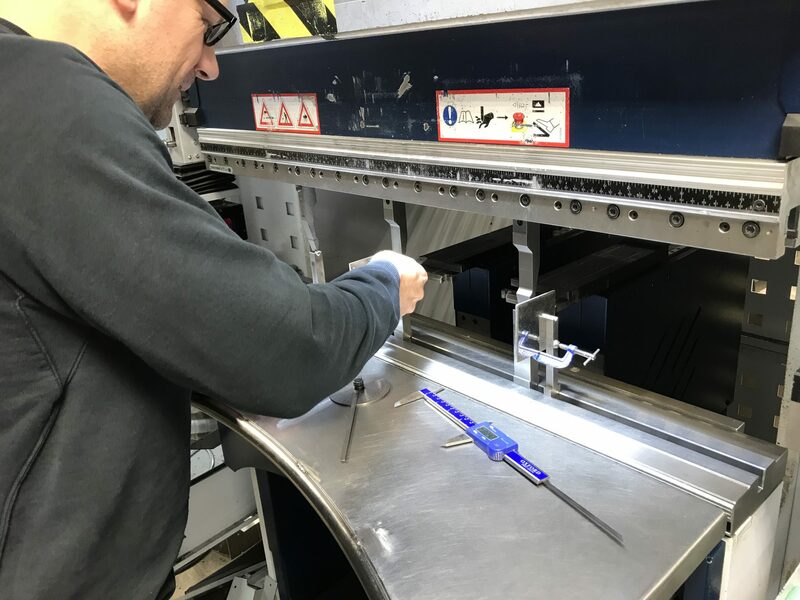 Having over 30 years manufacturing experience in many different industries we have seen most design problems and solved them for our customers in Great Britain. These particular components illustrated in these photos were stainless steel parts used to construct parts benches to be installed in Sussex. These welded fabrications were manufactured from 316 stainless steel square tube and formed 316 stainless steel sheet. The tubes were simply sawn to length with holes drilled to line up with wooden park bench slats. The laser cut curved sheet metal sections had holes to line up with posts fixed in the ground. The curved shapes were created by using one of our Trumpf 7036 CNC press brakes. 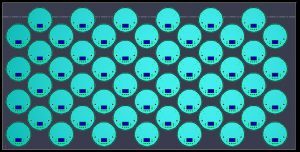 Programming them to make a series of small bends makes it easy to simulate any curve radius up to 180 degrees (semi-circle). As well as creating curves by multi-bends we can roll sheet metal sections using our manual and power rollers. 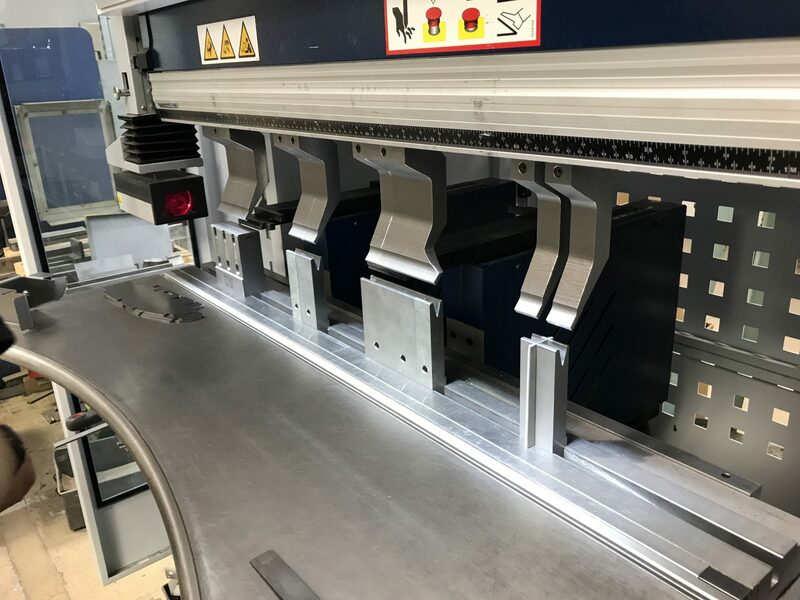 If the volumes are high enough we can also construct form tools which can then be used to press out the curved shape in one operation, saving time and money. All parts were TiG welded together and then cleaned up smooth before being polished ready for installation. For more fabrications manufactured in Great Britain why not take a look at our Gallery Pages or our Pinterest Boards. They both demonstrate the flexibility of sheet metal fabrications and the wide range of shapes and sizes that can be created. Using ferrous and non-ferrous metals we can cope with most commercial grades of material and welding processes that you will need. 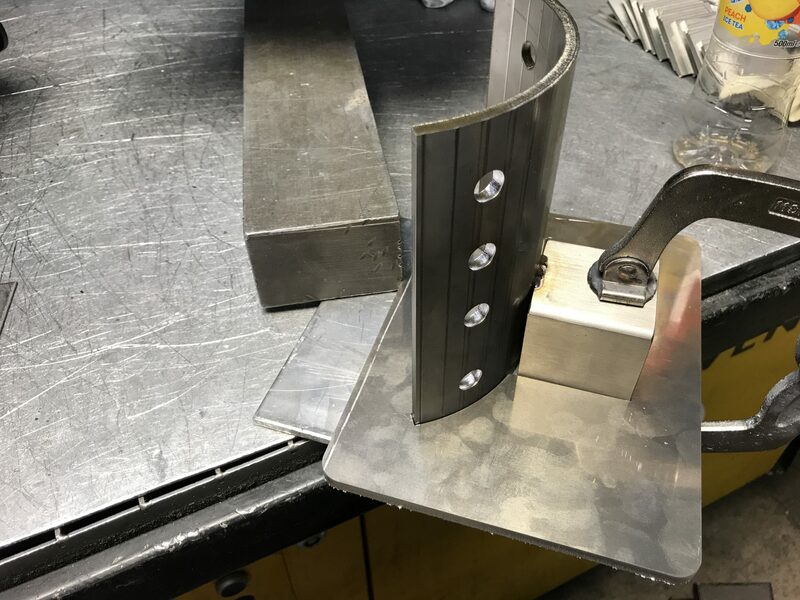 We are always happy to chat through your fabrication design ideas and offer a hint or two to speed up production and save you money. Call us on 01489 577786 or send us your drawings to sales@vandf.co.uk for a full price estimate for your sheet metal fabrication project. 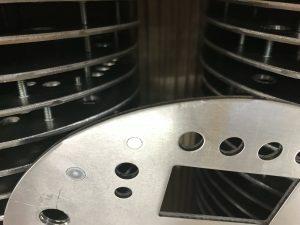 Recently at V and F Sheet Metal we were asked to make a guide plate with tapped holes and I thought this would make an interesting topic for discussion. As with any project the initial phase of manufacturing starts with a clear and concise drawing. This should provide exact dimensions and if required precise position of holes and slots. With this particular design I was able to program the part within 10 minutes using Radan software. 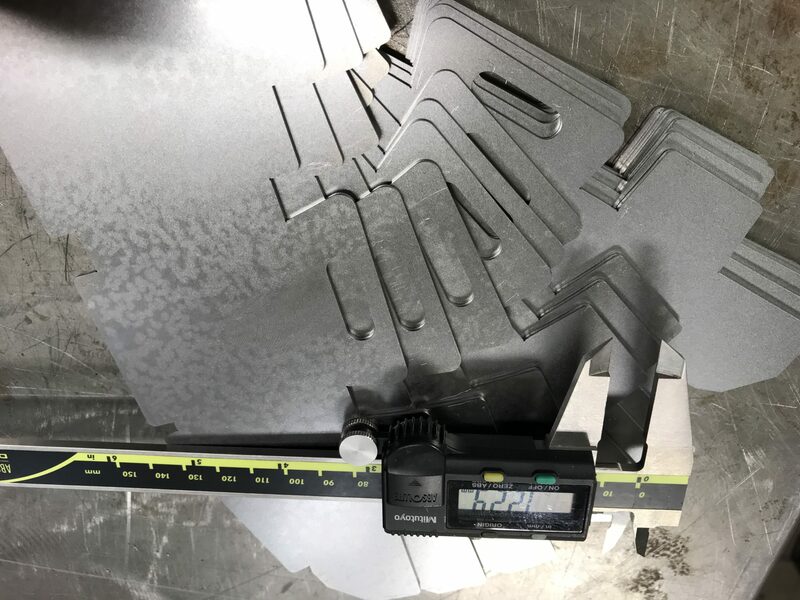 This batch of 50 guide plates were then manufactured from 2.5mm thick 304 stainless on the Trumpf 3000 machine. A couple of the photos here show the sheet on the punching machine and illustrate a number of useful points which may not always be obvious to the customer. Firstly if you look carefully at the image of the CNC punching the guide plate, it is possible to see that at the back of the machine I turned the last two rows of plates to achieve the maximum number of components from the sheet. The nest diagram reveals this clearly and shows the small amount of waste material that will be left at the end of production. 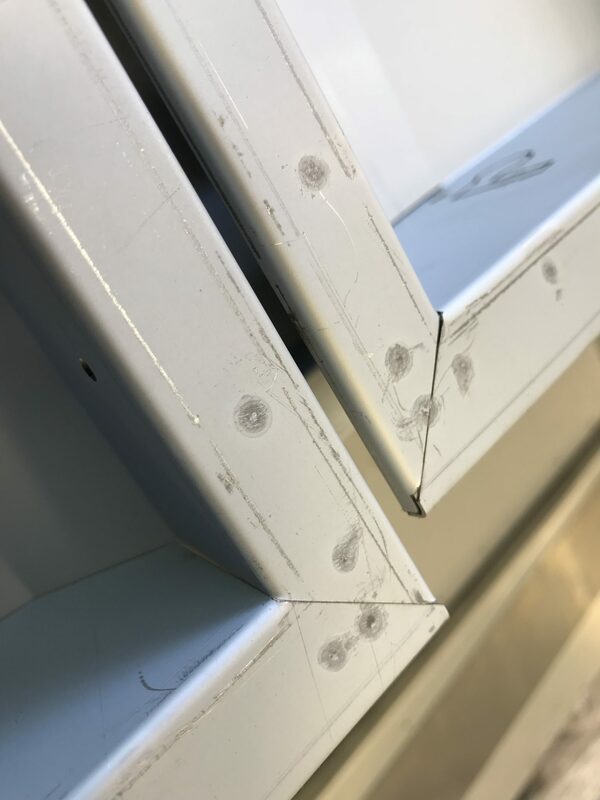 Secondly, although not obvious from the photos, this job actually made use of an off cut of material from a previous job, again allowing me to reduce the cost to the customer. In addition there was no need for special tooling as we have an extensive tool library at V and F Sheet Metal. Another money saving feature. Finally I thought it was worth drawing your attention to the tapped holes on these guide plates. 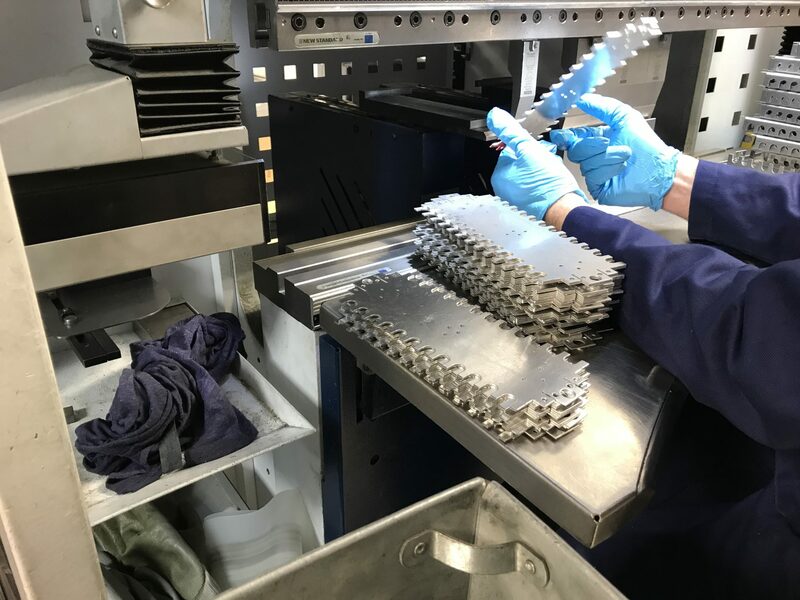 The Trumpf 3000 is equipped with a number of tapping tools and an M4 tap was used on these guide plates to produce a strong, clean thread within the material. It is an efficient process and cheaper than the traditional tapped cutting of threads which produces swarf, which must then be removed from the underneath the machine. Hopefully you have found this useful and if you think V and F Sheet Metal can help you then please give us a call on 01489 577786 or email today at sales@vandf.co.uk. We look forward to hearing from you! We love making folded Sheet metal boxes! 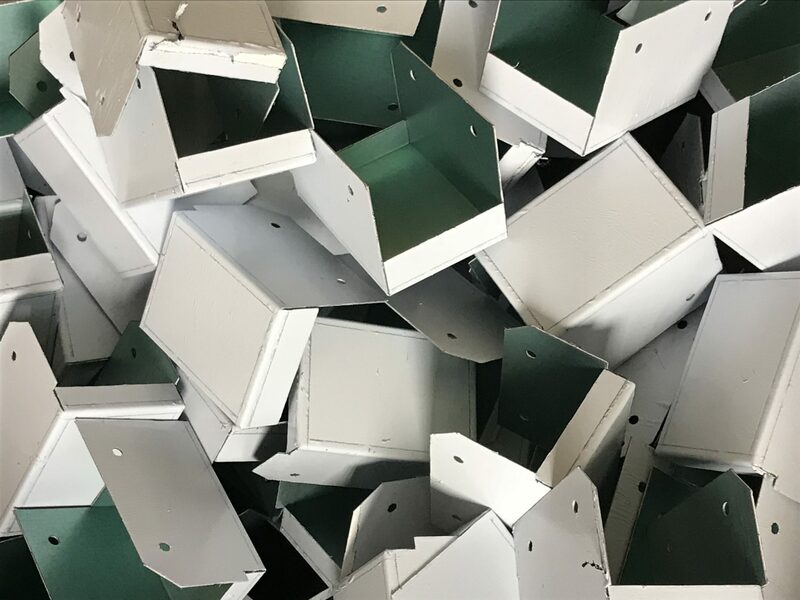 Are you looking to produce a folded sheet metal box? Then look no further as we are here to help you! Over the years we have produced a huge number of boxes ranging from the small and simple to large and complex. 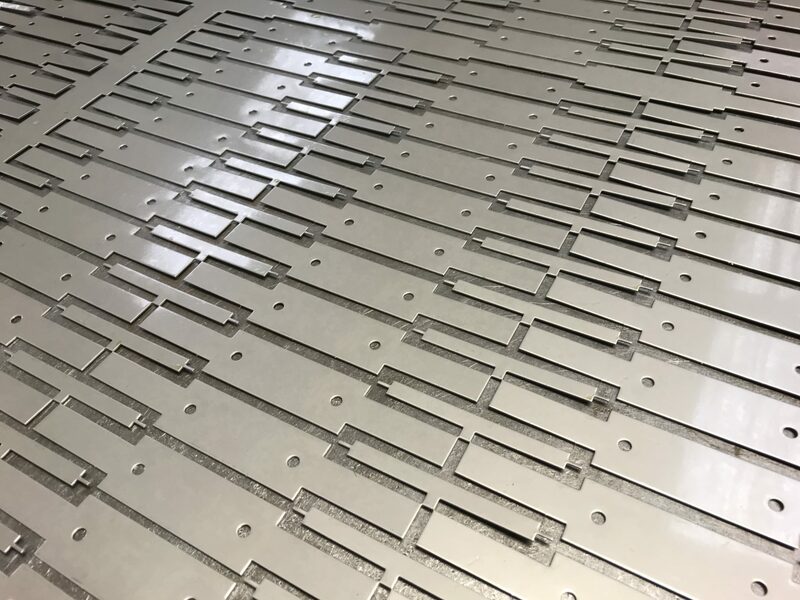 We use high tech equipment which allows us to CNC punch sheet metal from 0.4mm up to 5.0mm gauge in a range of steel, aluminium and stainless steel alloys. Furthermore if you require thicker gauges this is no problem as we employ the services of our Trumpf 3030 3KW fiber laser cutting machine. I’ve include this image as it’s a typical example of the type of folded sheet metal box we are asked to make on a daily basis. 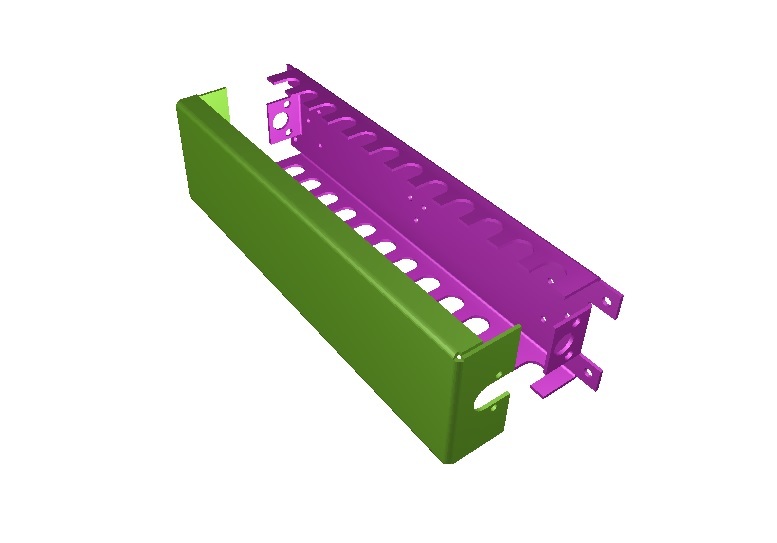 First of all nearly all of our sheet metal projects start their life as a 3D model using Radan sheet metal development software. 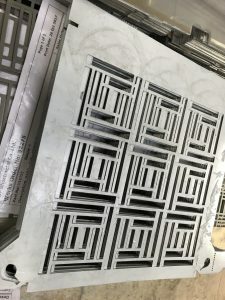 Once checked and approved, the model is used to produce a flat pattern ready for use on one of our CNC punching machines. After punching, the edges are deburred and the panel folded up in to the final shape using one of our many CNC press brake bending machines. This may be the final product especially if the box is going to be placed “out of sight”. However, more often than not our customers require their boxes to be treated or finished. For example we can powder coat, zinc plate or anodise components to produce a perfect cosmetic finish. 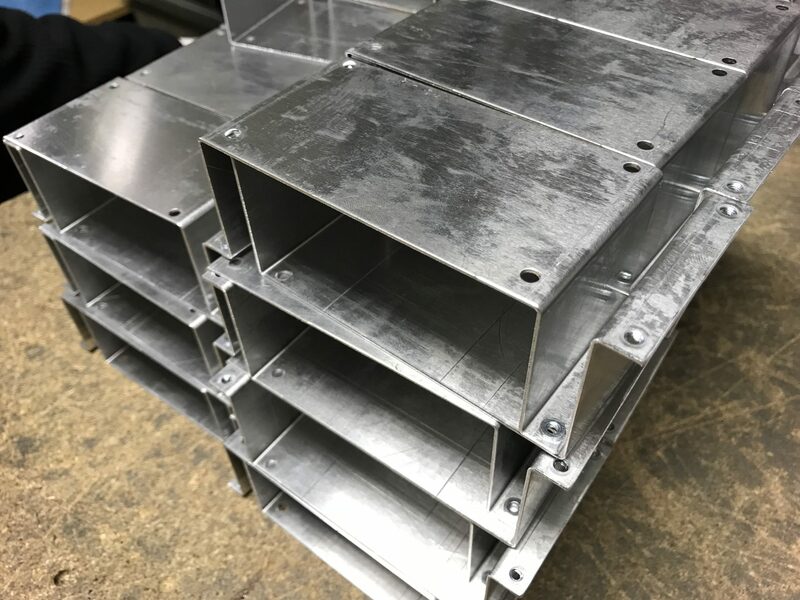 If you would like to learn more about the various stages of metal box design and production then please go to our web page on Box Fabrication. Finally if you need any more help with your project then we’re always happy to hear from you at V and F Sheet Metal. Please just call on 01489 577786 or drop us an email at sales@vandf.co.uk. Please feel free to look on our website for more general information on CNC bending and CNC press brakes. If you require aluminium brackets but you’re not sure who to contact then look no further! Here at V and F Sheet Metal, Hampshire we have the facility to help you. We have many years of experience to ease your journey from the initial idea or drawing through to final production. 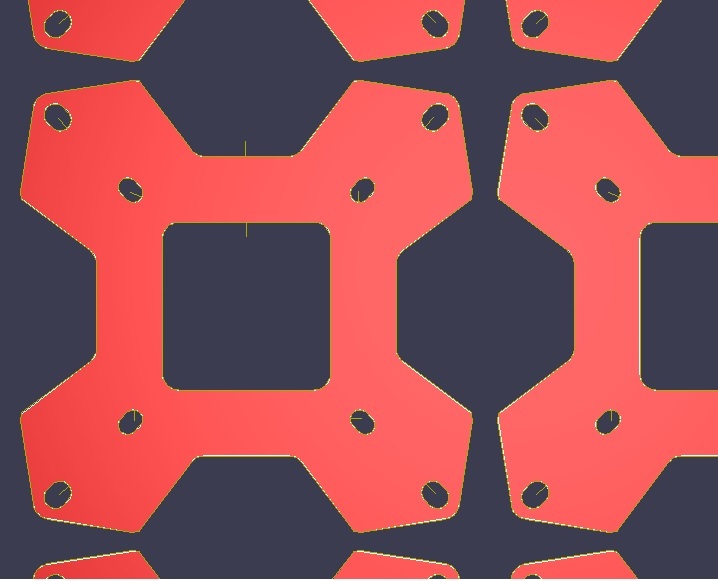 First of all we begin the process using Radan 3D modelling design software before moving on to laser cutting and finally folding up to produce brackets. The photos here follow the production of a simple aluminium bracket. Initially we cut out flat metal strip ready to be bent in to a z shape. Cutting out is quick using the latest technology Trumpf 3030 3 KW fibre laser. The second photo shows an individual strip in the process of bending using one of our Trumpf 7036 CNC press brakes. Finally once completed and inspected, the strips are packed up ready for delivery to the customer. If you would like to know more about bending then please read the CNC bending information on our website. So please do not hesitate to contact us here at V and F Sheet Metal by calling 01489 577786 or emailing us at sales@vandf.co.uk. 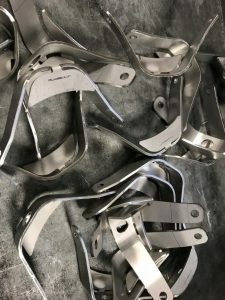 We have the ability to make many types of brackets and the expertise to assist you with your product from the initial idea through to design and final production. We look forward to hearing from you. Merry Christmas from all at V and F Sheet Metal. We just want to say thank you to all out customers for their business through 2017, we really appreciate it. We also want to thank the support of our suppliers through this year. Lets all hope that 2018 will be just as busy and profitable for all of us. Sheet metal fabrication in the UK covers a wide range of processes. From laser cutting and CNC punching thin sheet metal to folding complex sections. Using various welding techniques and secondary manufacturing and finishing operations a large range of sheet metal fabrications can be produced. Here at V and F Sheet Metal we specialise in batch production of sheet metal fabrications. 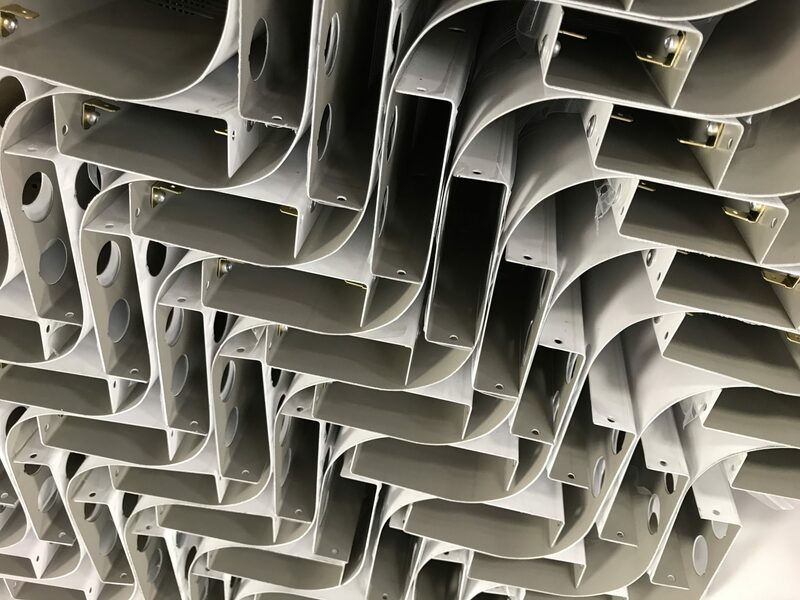 From our factory in Fareham, Hampshire we supply sheet metal work right across the UK. We can support you with your new designs by producing prototypes. 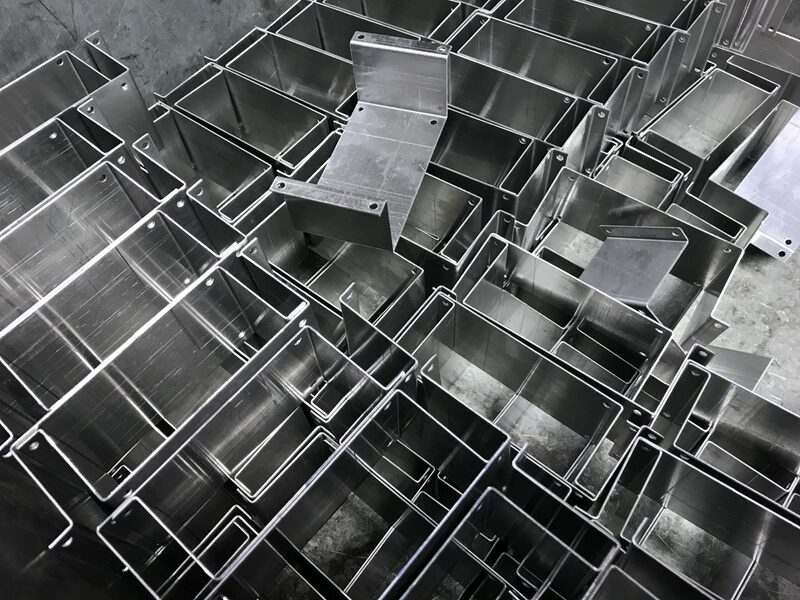 We can also produce small batches of sheet metal components and then where needed larger volumes. For far more information on sheet metal fabrications and what we can do with them take a look at this link. If you are looking for a company to supply sheet metal fabrication in the UK V and F Sheet Metal are the people to contact on 01489 577786. Alternatively you can always e-mail us your drawing data and our engineering team will be happy to advise on your designs or produce estimate options. If you are looking for sheet metal work manufactured in Great Britain here’s as good a place to start as any. During 2017 V and F Sheet Metal have invested in more plant and machinery to improve product quality and speed up manufacturing. The projects shown here are typical of the sheet metal work that we manufacture every day. Whether it’s CNC laser cutting or CNC punching. CNC bending from just a few sample parts to orders of many thousands. Parts may be simply left self colour or treated and finished in a variety of ways. Calling upon the talents of a range of sub-contract specialists in the area we can offer the complete manufacturing service. Sheet metal work manufactured in Great Britain is cost effective compared with importing. We have many customers who use our services from Europe and the US. Or course our home market of Great Britain is where the majority of our customers as based. With the ability to communicate easily and offer quick samples we provide a useful service to many companies. With the latest sheet metal manufacturing equipment prices are also very keen. 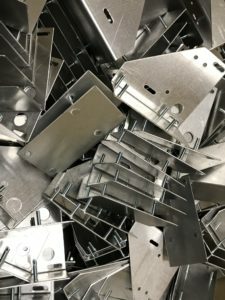 To get a really good idea of sheet metal work manufactured in Great Britain you should take a look at our gallery pages and plant pages. They will illustrate the wide range of work we manufacture and the ways in which we save time and our customers money. So if you are looking to get your sheet metal work manufactured in Great Britain give us a try. We are happy for you to call us and have a chat with one of our team of experienced engineers. If you wish to simply e-mail us your drawings that’s fine and we will work on producing estimates for you. Here at V and F Sheet Metal we are proud to be able to offer a wide range of sheet metal services to all our customers. Whether it’s laser cutting stainless steel fixings plates or CNC punching aluminium front panels. CNC folding electronics chassis components or mild steel angle brackets. Welding in a wide range of materials and gauges using modern welding techniques. 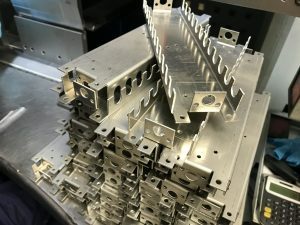 We are here to help you with your designs and provide the best choice of manufacturing techniques to produce your sheet metal work in Great Britain. 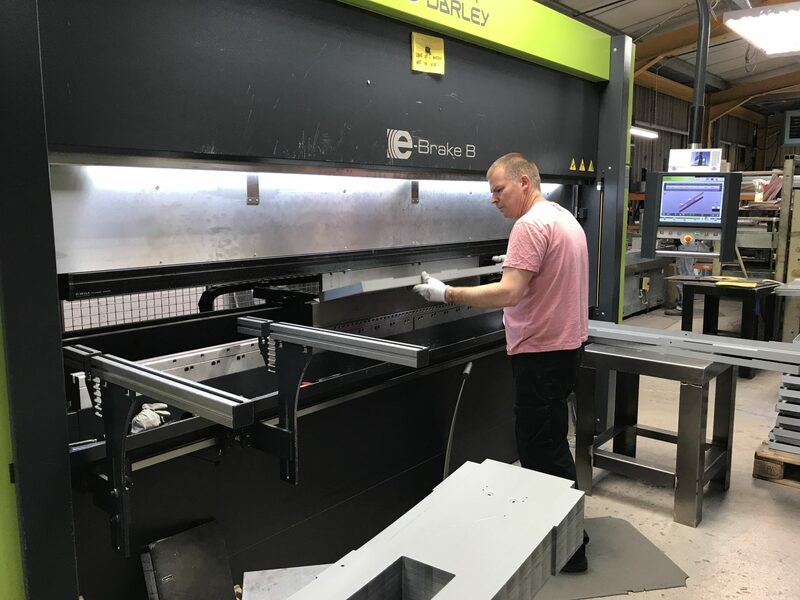 With an active program of investment in sheet metal working equipment we are helping to keep sheet metal work in Great Britain. In the last year we have purchased a brand new 1.5 ton fork lift. We have invested in 1M power rolls for rolling up circular sections. We have also invested in another Trumpf 7036 CNC press brake to strengthen our folding section. 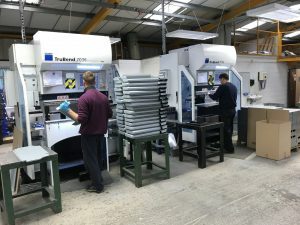 Along with our other 6 CNC press brakes we have a great range of services to support the most complex sheet metal work. To see one of our Trumpf 7036 CNC press brakes in action please take a look at our YouTube Channel. We also have dozens of other videos there uploaded from our work shop. They demonstrate CNC punch, CNC laser cutting and welding as weld and CNC bending. Using the latest sheet metal working CAD/CAM software we can tune designs to suit the correct and most efficient manufacturing machines. If you have a project that needs some input from a friendly sheet metal working company we are here to help. We can take a quick look at your designs and suggest areas that can be improved with a view to saving you money. Simply send us your drawings to sales@vandf.co.uk and we will take a look for you.